It has been quite a while since I wrote a blog post. I’ve been a bit of a recluse since I arrived back in the states. I was being prideful- I didn’t want many to know what was happening during my medical evacuation process. I was scared of the outcome. As the days went on I didn’t think I was going to make it back within the 45 days. As a matter of fact, I didn’t make it. 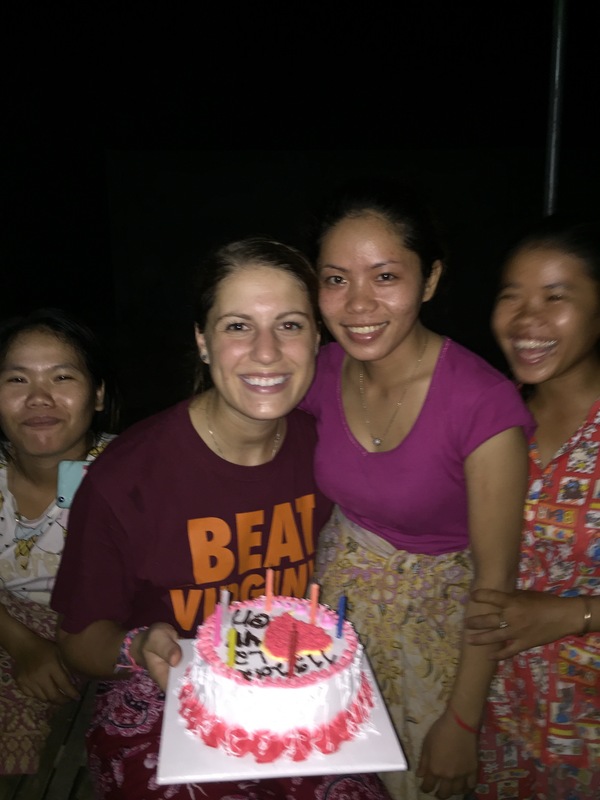 I was medically separated from the Peace Corps. When I got that email I was disappointed. 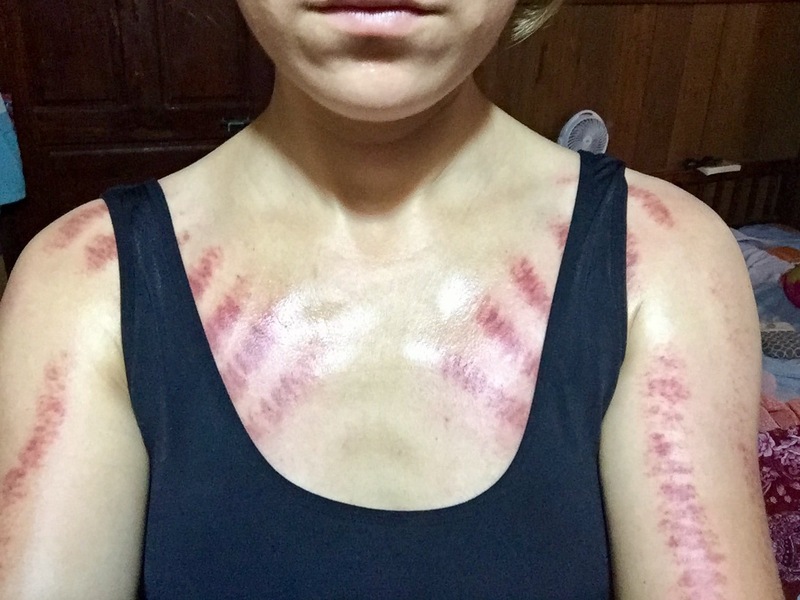 My initial thought was why did I ever say anything to the doctors in Cambodia- I could have still been there. Then, after a couple of days I was realistic with myself and faced the fact that I wouldn’t have been living a quality life without treatment. I could barely ride my bike, I couldn’t stay awake during work and I spent most of the afternoons sleeping and reading. 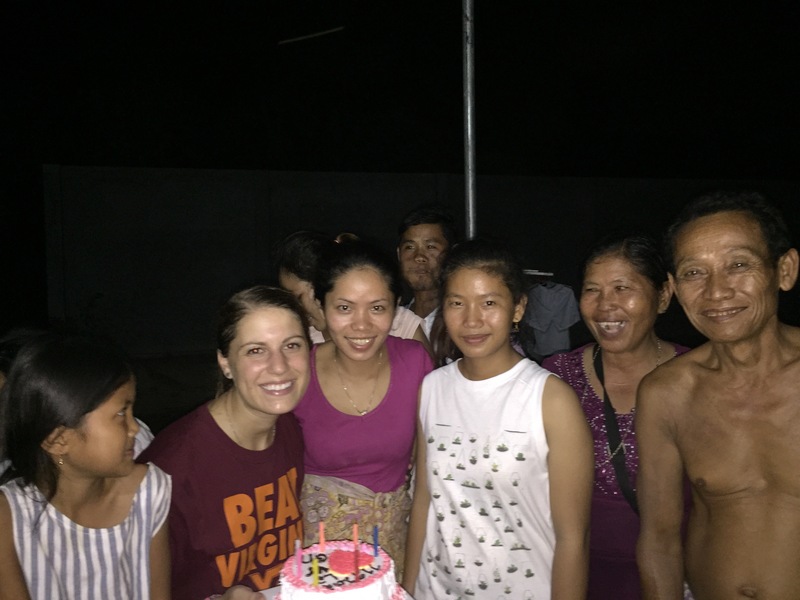 I was surrounded by my amazing host family and community but I was hurting. When these symptoms starting getting very intense about two weeks into my permanent site I wrote myself a letter to open three months later. I basically told myself that if I was reading it and I was back in the U.S. then I needed to give myself grace. I wasn’t a wimp for talking to the doctors and I didn’t completely ruin my prospects of completing my service. I have a chance to be reinstated to my service once I’m symptom free and I can go back to my host family and community and continue on with the life I created there that I loved so much. Today has been very tough for me. I woke up just plain sad. I’m sitting in Starbucks (just about the most basic American coffee shop) and I’m reciting that letter I wrote to myself over and over. I continue to tell myself that this had to happen- I needed answers. Now I have those answers and I am working to get my body back and to figure out how to manage my flares. I never expected my health to define my service and so far it has but I hope to return and define my service in a new way where my body isn’t getting in the way. For now….I’ll continue to work on my dietary changes, going on my daily walks and regaining movement through my yoga practice. Thank you for all the support I have received from many of you and I hope to be able to share good news with you in the near future. 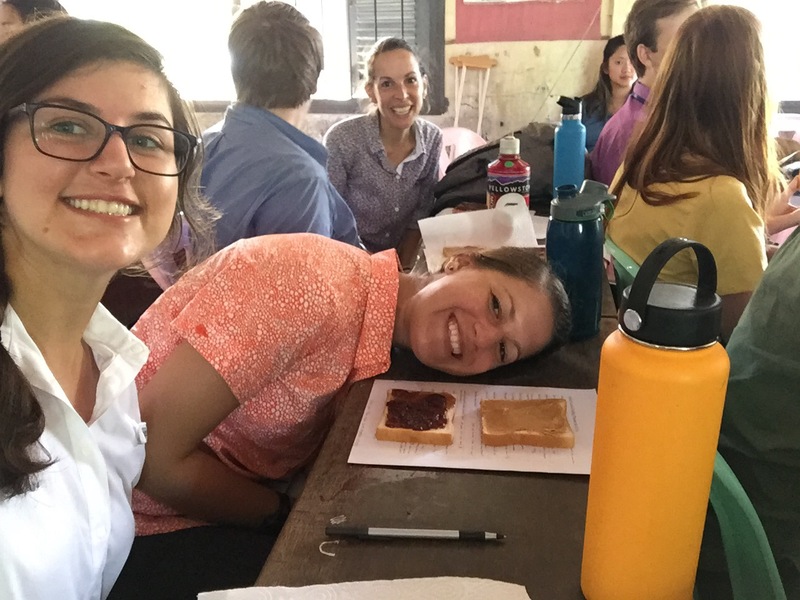 Peace Corps service is a very individual experience. Only I know what I’m experiencing every day and while I might show glimpses on my blog or social media no one actually know what it is like to be in my community, in body, in my journey. This is were I have to be selective of what I share with you- I want to share culture, foods, daily life, relationships, etc….but then there is the fine line of which illnesses do I tell you about or what range of emotion is suitable for sharing. I’ve been on a very confusing and exhausting path for the last several weeks. I have had some long time undiagnosed problems that have always been a mystery to doctors and once people got stumped they gave up. I had a lot of people tell me it was “normal”, “you’re just growing”, “your in (high school or college) you’re just tired it’ll pass”. 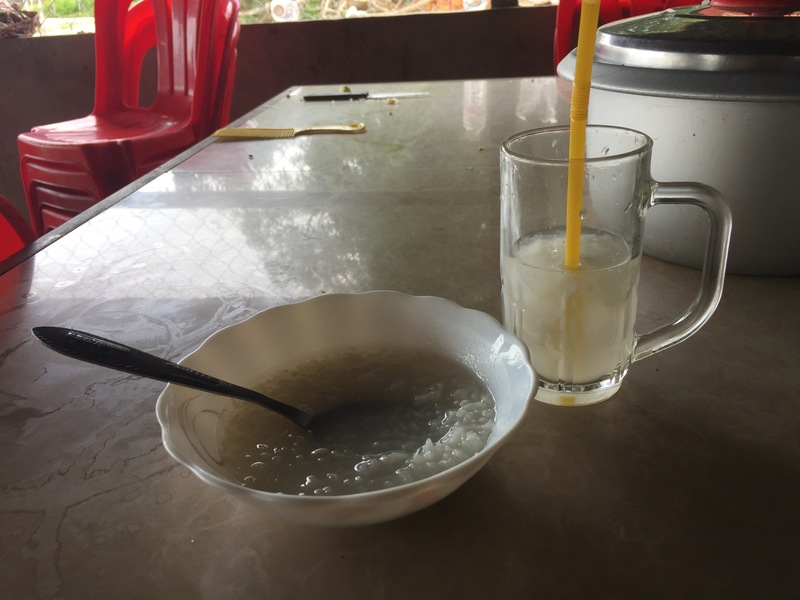 I’m 23 years old now and it still hasn’t passed and I’ve handled it the whole time I’ve been in Cambodia but a few weeks ago symptoms got significantly stronger and some symptoms I couldn’t ignore anymore. I finally discussed this with my doctors here and that resulted in a few trips to the capital that I briefly discussed in my last post about tory rides. After many ultrasounds and blood tests this showed up with a few leads but still a perplexing case for staff. Headquarters got involved in my case I received the call saying I was going to be medvac-ed to the United States for tests and treatment. This is a policy within Peace Corps that allows volunteers to return home for a period of 45 days to get medical issues resolved that can’t be best resolved in country. So as I write this to you now I’m on a plane. I had to say bye to my host family and assure them I would be back and I am trekking back to my American family now. 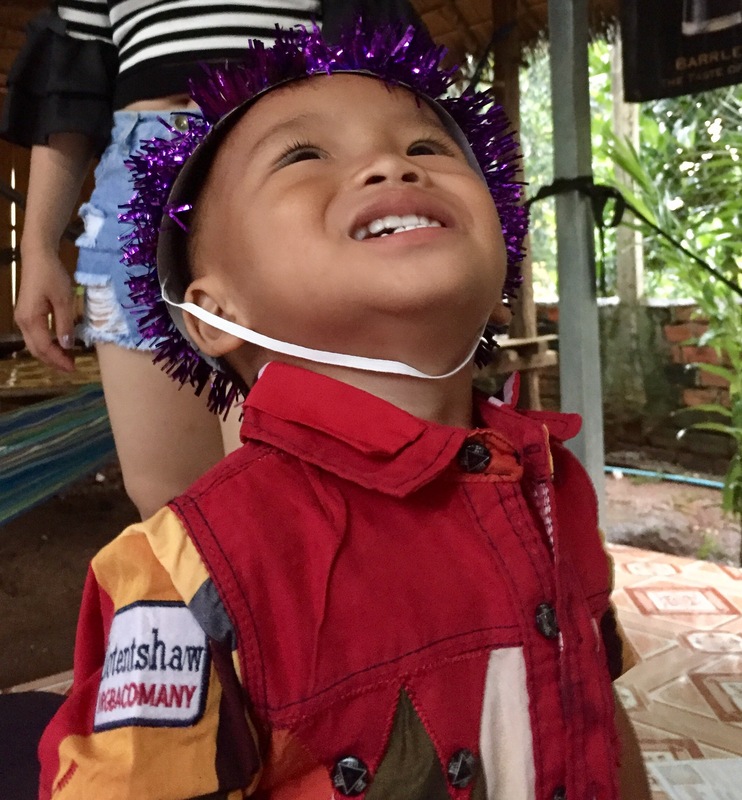 I look fine from the outside- that’s a really confusing thing for everyone (Americans and Cambodians) to wrap there minds around. But in the inside I’m in pain and not feeling myself. At this point you are probably all confused and hell I’m confused too. 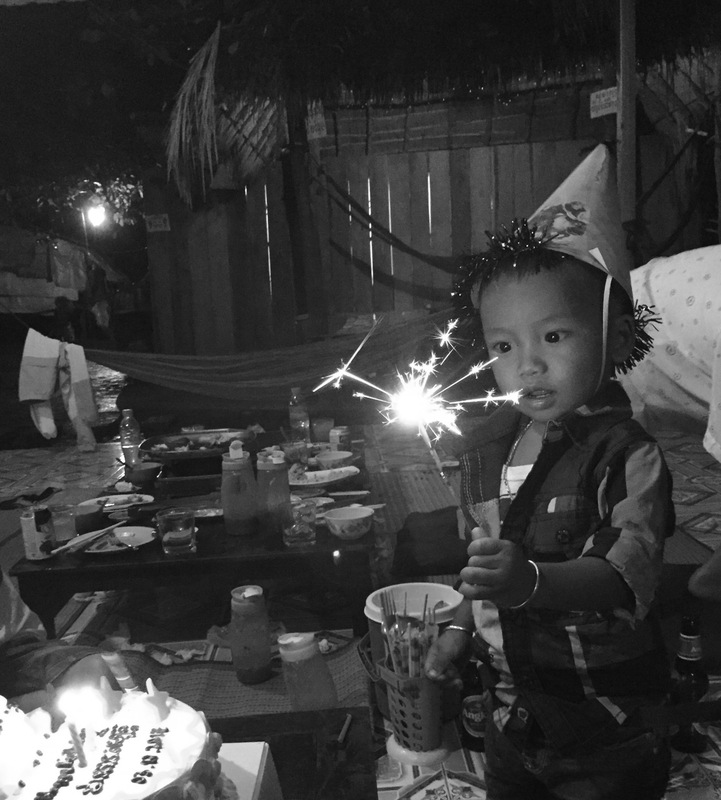 The idea of coming back to the U.S. for a short amount of time and then going back to my Cambodian home is hard to understand but it’s reality. 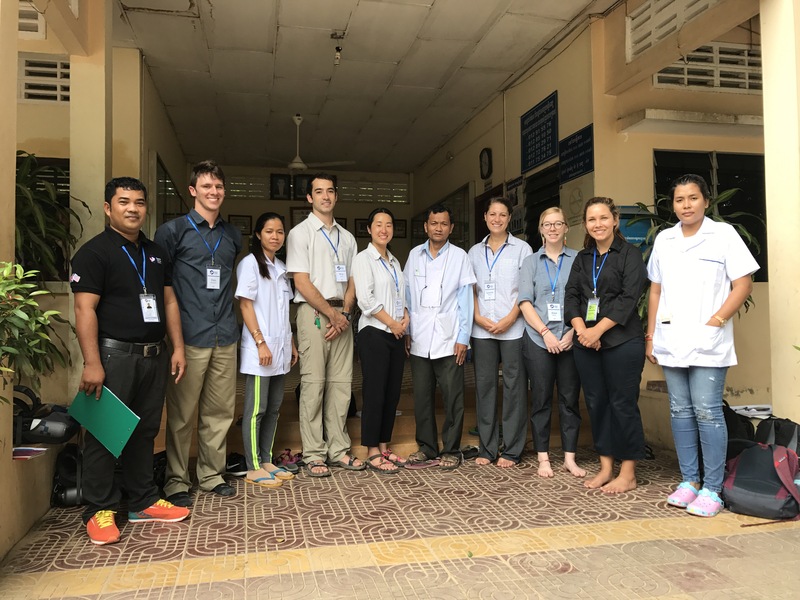 This experience has become a very significant part of my service- it has inhibited me from a lot of things that have normally never been an issue for me and I look forward to coming back to Cambodia in much better condition ready to hit the ground running. There is nothing like realizing that you really don’t know a language when you speak to a native speaker on the phone. The only time I have to speak on the phone is when I’m talking to a tory driver (how we refer to van drivers). This is how I get to and from the capital city, my provincial city and any where else that I can’t get to by bike. It’s a system that makes no sense to my naive American mind. You don’t arrange for your seat in the tory until the night before and you are likely to be squished in like sardines. It’s sweaty it’s uncomfortable and in my experiences kids are always throwing up around you and a yiey (grandmother) is touching you. I have had zero smooth rides so far. Experience #1: My first ride was to my provincial town that is only about an hour from my house by van. It started out with the morning of, 30 minutes prior to leaving the driver called me and said he wasn’t going anymore. So I walked downstairs and asked my mom if they have any other drivers that they use. She arranged it for me and I was on my way. As always kids threw up and when I tried to explain to the driver where I wanted to go it didn’t quite translate. 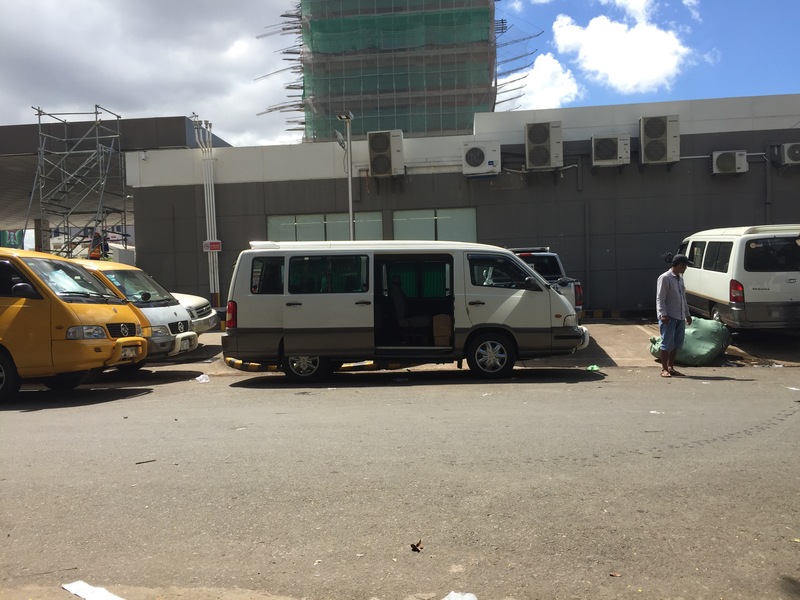 Needless to say I got there, I enjoyed my time and the next morning I called to make sure that I was going to be taken back home and he told me he wasn’t coming…so I scrambled and asked another volunteer who lives relatively close to me to ask his driver if I could hop in too. 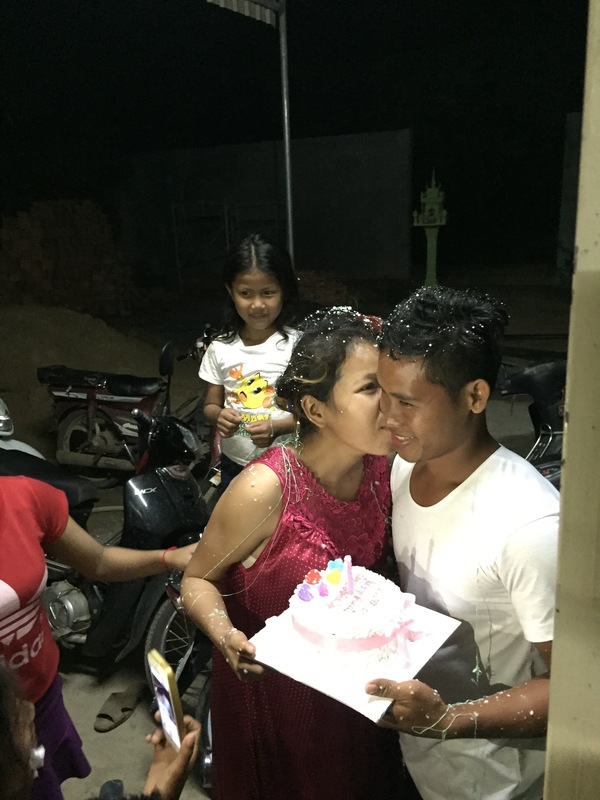 He said yes then we were in our way and then in my broken Khmer I begged the driver to take me all the way home which he kindly did. 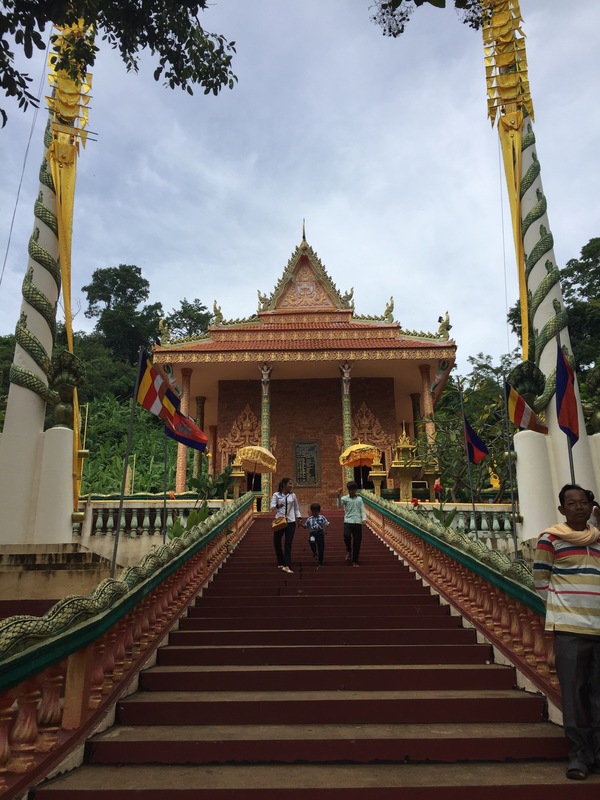 Experience #2: I had to go into the Peace Corps office in the capital and I again used a driver that my family suggested. 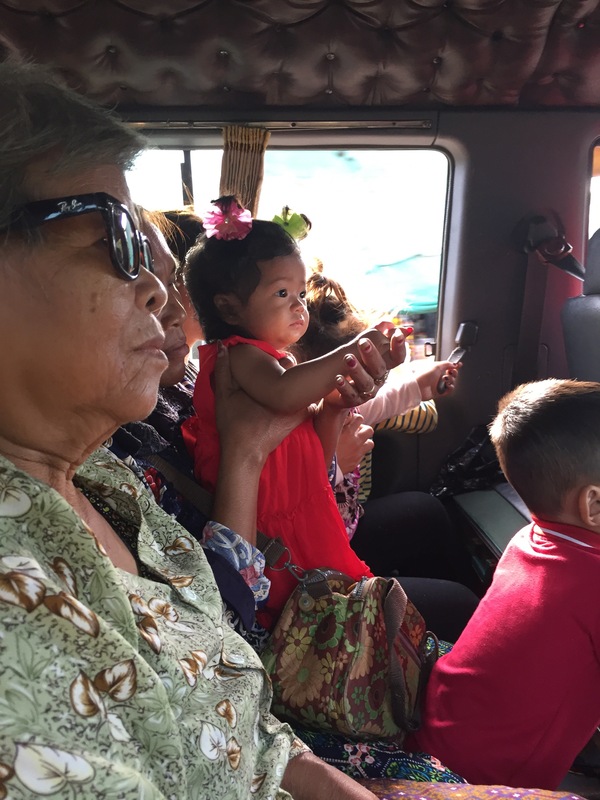 He picked me up in the morning and everything was going fine until we arrived at one home and the children said that their mother went to the market. 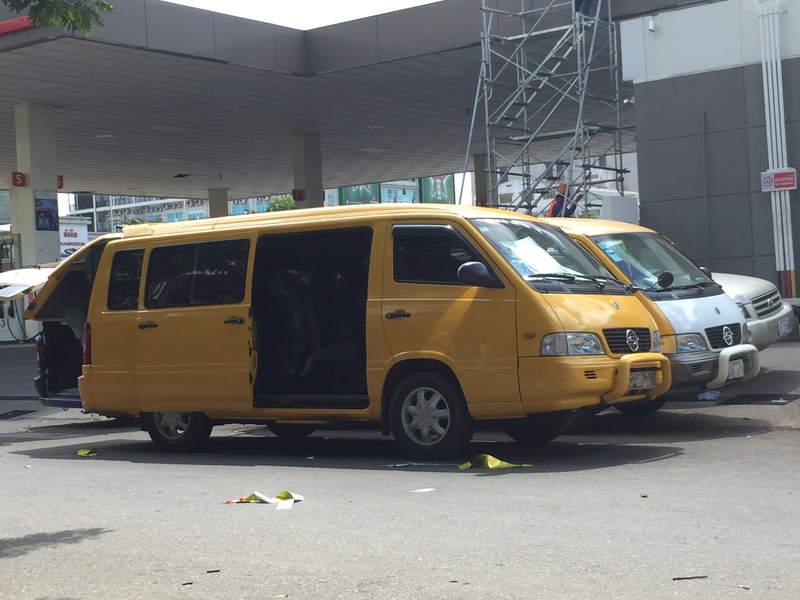 That resulted in a van full of people waiting in a blazing hot van for 30 minutes until she returned from the market. Cambodian people are generally reserved and then sometimes they shock you with their bluntness. So in the van they were all saying how angry they were when they had to wait and then as soon as the family got in the rest of the van went silent. No one spoke directly to the family about their anger. 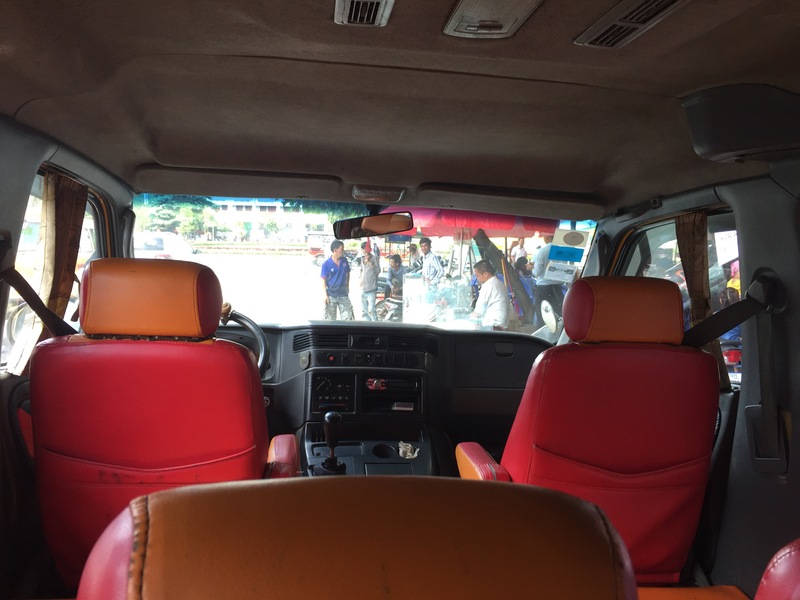 I was squished in a van row with four adults and four children, it was as comfortable as that sounds. 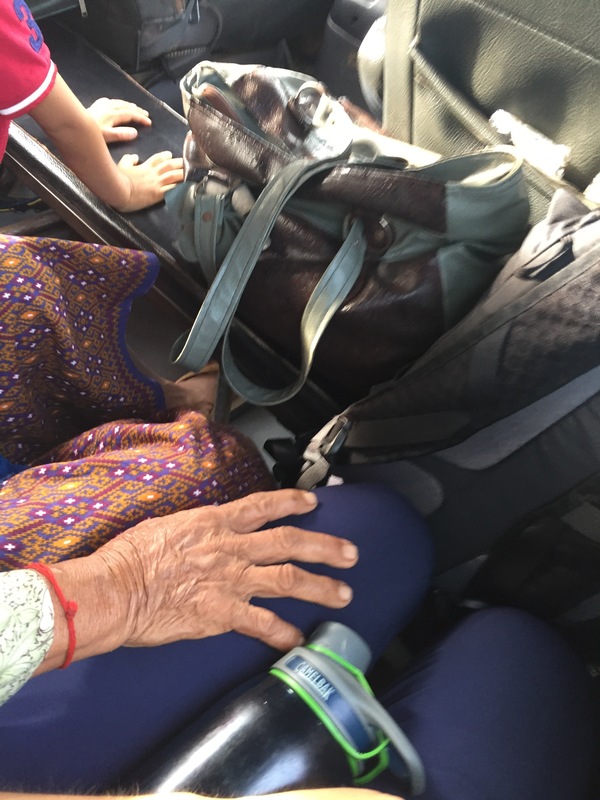 On top of that a yiey kept her hand on my leg for the entirety of the ride which sent my body heat through the roof. After this emotionally taxing ride I felt the ride back would go smoother. It went quite worse. I waited for 2 and a half hours past pick up time and the driver kept telling me that he would be there in five minutes and he wasn’t. 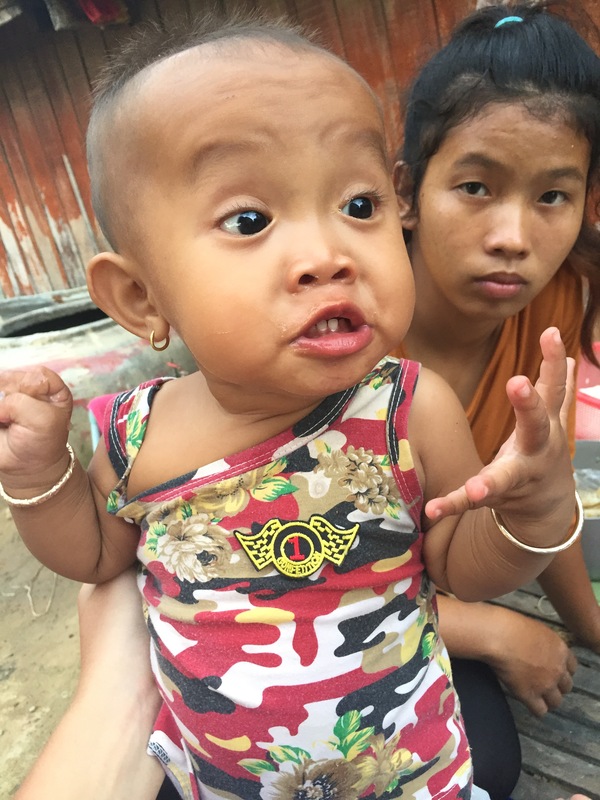 He spoke so fast I couldn’t understand him and I kept handing my phone to random Cambodians on the road in hopes that they could straighten it out for me. After a whole lot of waiting I got in the van and got home and boy was I happy to get home that day. 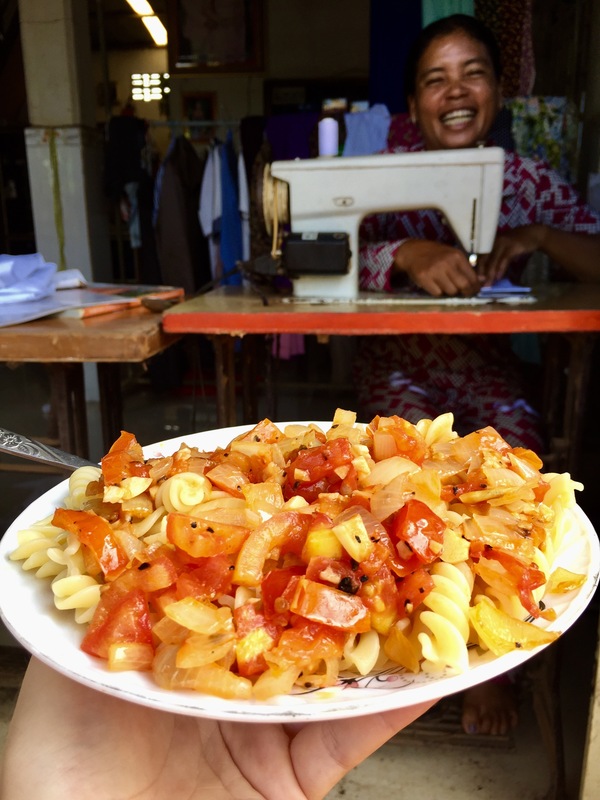 Experience #3: I had to make yet another trip to the capital to go to the Peace Corps office. My ride to the capital was smooth sailing. No problems there. I confirmed with the driver that I was going back with him the next day and we would meet at the same place. So I go to a coffee shop before the pick up time and I’m calm and thinking okay I got this this time. Call thirty minutes before and we will be good. I call we aren’t understanding each other and I come to find out my driver LEFT ME. Like what….I thought we had agreed on this! So I start walking around and asking random drivers if any of them were going near my home and low and behold I found one. I found my own way home and I’m a whole lot calmer than last time. At least I don’t have to wait 2 and a half hours to get going! I arrived to my district town and the driver refused to take me to my commune so I started walking because I cannot ride on a moto. As I’m walking I’m hoping a van or something will pass by so that I can get to my house faster and less sweaty. Eventually a tuktuk goes by and after haggling for about 5 minutes and trying to get out of the scamming because I’m a foreigner I am finally given a fair price. As I am arriving home I see my dad on a moto with a trailer hitched to the back. He was coming to get me because a neighbor motoed past me when I was walking and went and told my dad who then was worried and was coming to my rescue. It was a heartwarming moment to know how much he cared and that my community cared. We can just go ahead and call this a rite of passage. Maybe just maybe I’ll eventually get this Tory thing down. For now, I’m a total amateur and I hope to some day understand this system. It’s an adventure that’s for sure…..
​This practice is typically done when someone is ill or not feeling well. It is thought to bring the bad air to the surface to be expelled. 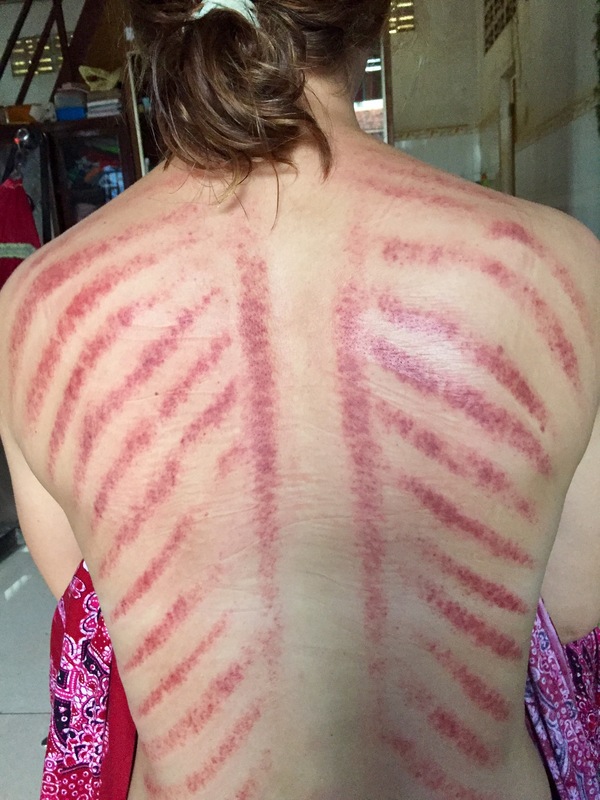 I had this traditional practice done on me yesterday by my host mom. In all this was a 40 minute process that started on my back. I laid on my belly and talked to my Mai throughout the process and she kept explaining how red my skin was getting because my skin is so light. I told her I wanted of photo of it so I could see what she was talking about. It looks far more painful than it was…the back was quite painless just very ticklish. I thought we were just doing my back but little did I know that we were doing my chest and arms. I flipped over and prepared myself for the pain. If you think about it- your chest is far more bony than your back so a metal spoon scraping over your bones doesn’t sound very pleasant. It was quite painful but Mai and I talked more which was quite distracting. 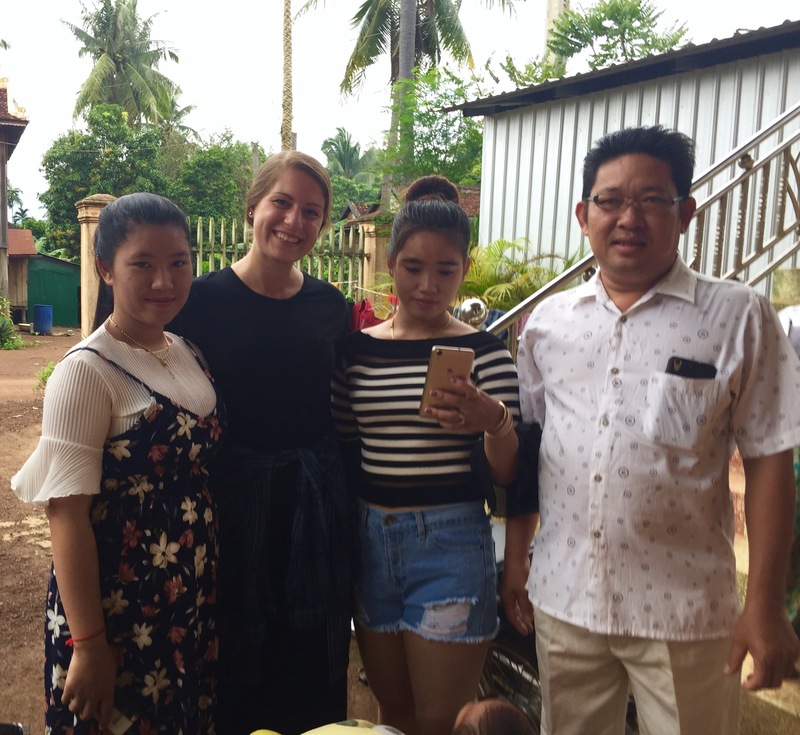 She kind of shocked me with one question…she asked me if I missed my host family in Kandal province (my PST host family). If you’ve read my older posts you know how much I love that family but that doesn’t mean that I won’t love this family even more. I just moved here and we are getting to know each other. But in that moment I wasn’t sure how to respond or where the question was coming from so I went the honest route and I told her “yes I miss them”. She asked me if I call them to which I responded yes again. Then she asked to see a photo so I showed her a photo of most of my family. I showed her who each person was and then she asked about their house. She wanted to know if it was big and I told her it was about the same size as the house we live in now. 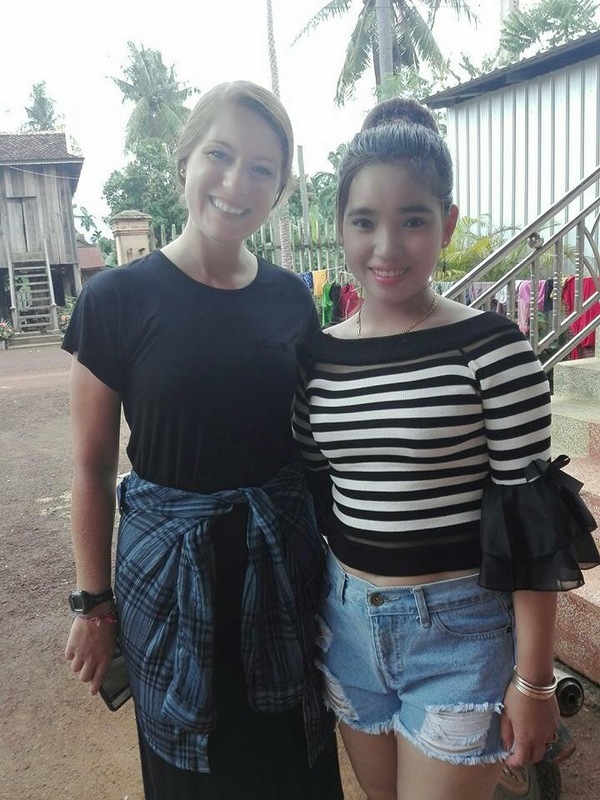 My favorite question was “did you know how to speak Khmer to them?” And to that I giggled and said “when I got off the plane I learned how to say ‘hi’ and ‘my name is…’. She laughed and laughed and laughed and then we kind of switched gears and talked about other things. I am still pondering where the questions were coming from. Does she think I’m not happy? Is she worried I am comparing the two families? Are my actions expressing something of discomfort? I will continue to think about these questions and maybe one day when my language has improved significantly I will ask my Mai why she asked some of those questions. For now I’m incredibly grateful for where I am and the lovely family I was placed with. 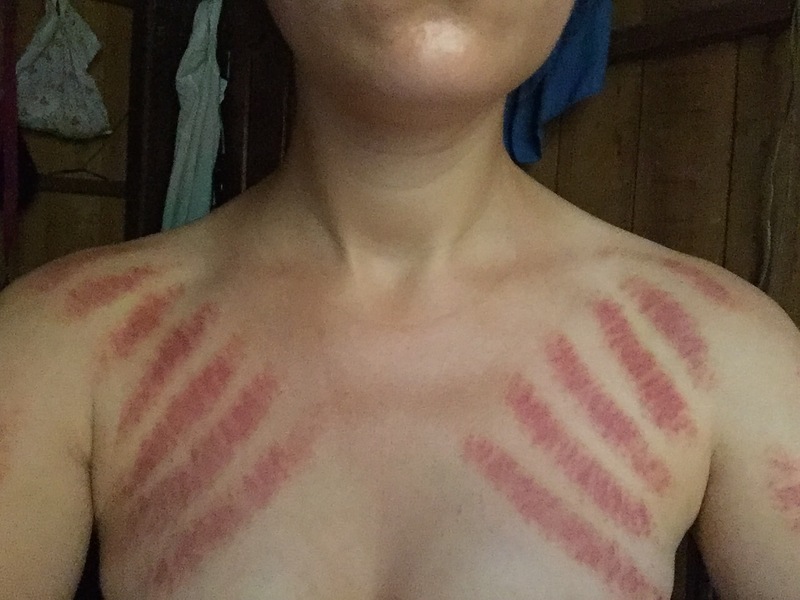 My Mai showed me her love through this traditional practice and from that I got tiger stripes and a beautiful memory. 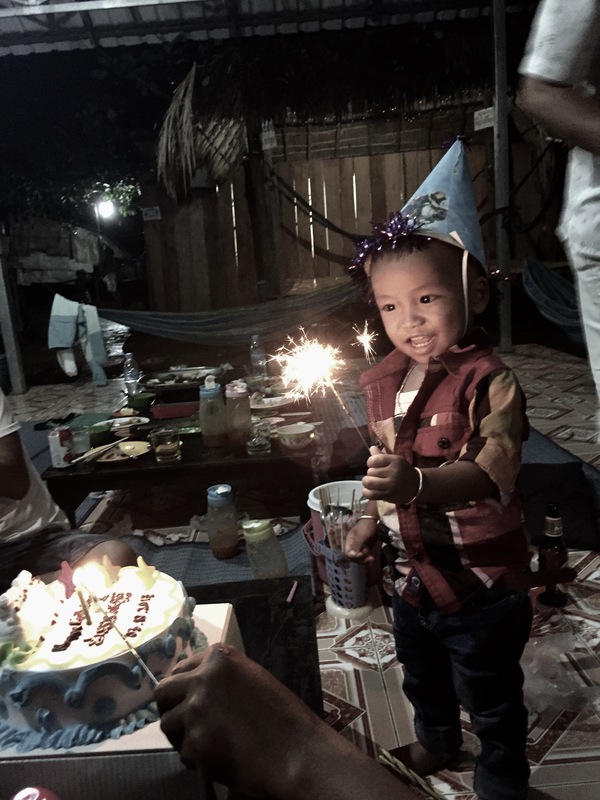 Birthdays are not generally of importance in Cambodia. However, I’m a self proclaimed birthday fanatic. Can these two truths coexist? Imagine moving into a home where you still speak the baseline level of a language and you don’t know your new family but you both know that you will be around each other for two years. You don’t want to seem awkward so you both start asking basic questions to get to know each other. I made my puppy dog sad face to show how I disagreed with my Mai’s statement. Either that facial expression doesn’t translate here or she just didn’t know how to respond. So instead I responded with “I love birthdays!” To which she gave a half smile of discomfort. I came to terms with the fact that I would just never know my families’ birthdays and would probably need to throw myself a little birthday celebration come May. If I learned anything during PST it is that we cannot become doormats during service. We need to verbalize things we want and do things for ourselves despite our communities skepticism of our weird American antics. Yesterday presented itself with a new surprise. It was a seemingly normal day- I went to the health center in the morning, bought my Mi Cha for lunch, went to the upstairs balcony and did my yoga and TRX, did some Peace Corps reflection assignments about adjustment to site, took a shower and then went downstairs to do some light reading when my mom so randomly said “you aren’t going to tutoring today” I said “why?” To which she said “because we are going to celebrate your nephew’s birthday be ready between 4 and 5”. That response hit me with both excitement and a little annoyance. Why was I being told this at 3PM when my tutoring session is at 5PM? So I scrambled to find my tutor’s phone number to give him a call and neither of my phones were making calls out so I put on my shoes walked up the dirt hill to the private school he teaches at and walked through hundreds of kids just to tell him I can’t study because my mom said I need to go with them to celebrate a birthday. Even my tutor had a puzzled look. I said it in English and Khmer so I knew he understood. After trying to rid myself of that somewhat embarrassing memory, I went home. I got ready and was downstairs at 4PM before anyone had even showered. 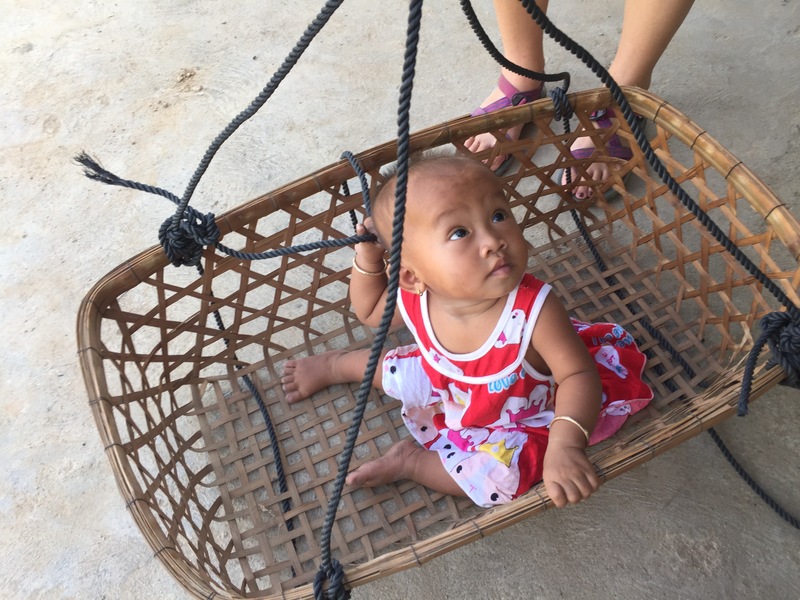 But I knew we were on Cambodian time and probably wouldn’t leave until after 5PM so I hunkered down in a hammock and watched YouTube videos until it was time for photos. Cambodian people love photos when they are dolled up so we posed and smiled for a few and off we went. My family on motos and me on my trusty bike. I put my helmet on my freshly washed and dried hair and got going as the day’s daily quota of rain decided to fall. At the end of my 3km bike ride we arrived at the restaurant which was equipped with floor seating and hammocks to rest in afterwards. I was soaked but a little rain never hurt anyone. Dinner was lavish with a chicken soup to start, then seafood fried rice. It was all delicious and I was full by the second course. I shouldn’t have been shocked when my mom said “there is another dish you need to eat”. 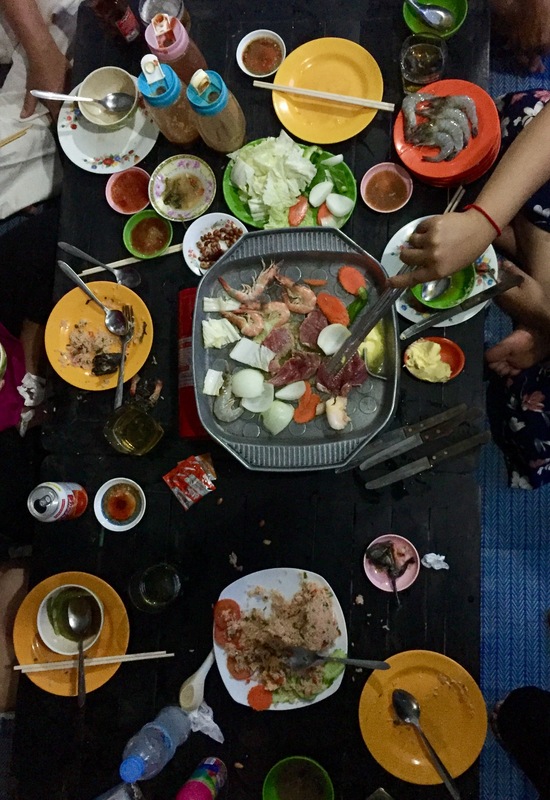 The final course was grilled beef, squid, shrimp and veggies. So I stuffed myself to the brim and finished well before the rest of my family so they sent me to the hammock to ‘ankujleng’. 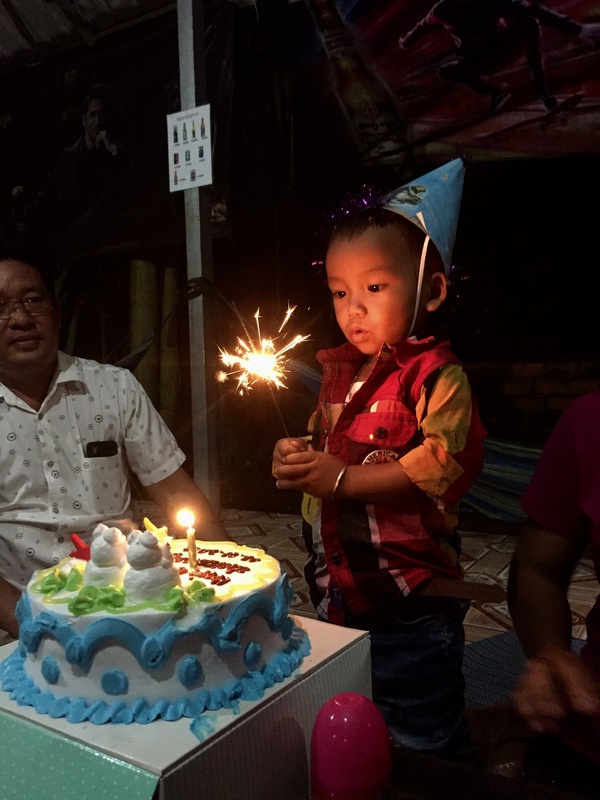 Then came the best part of all- lighting the candles for my nephew’s cake and my Mai said “sing Happy Birthday” and so I did, again and again and again. 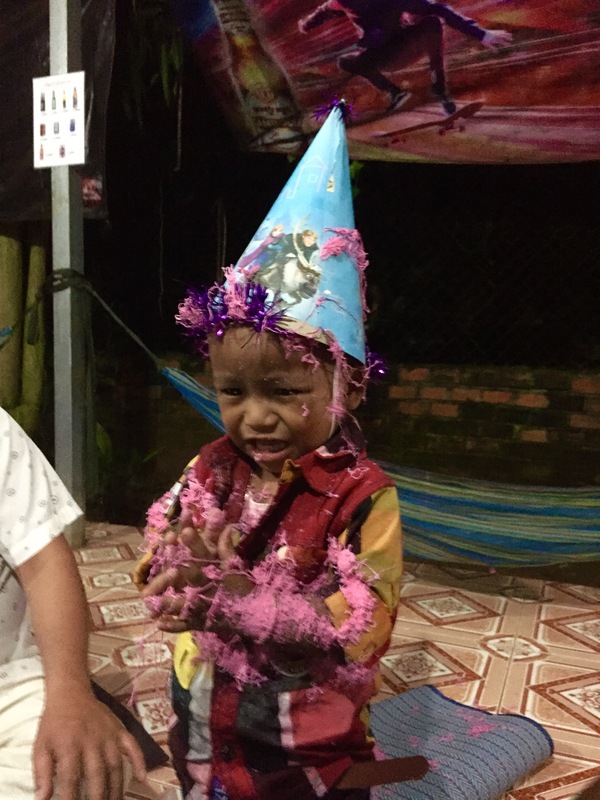 After a zillion more photos the singing ended, the candles were blown out the silly string came out, my nephew wailed when he felt the gooey string on his skin and everyone just laughed because it was supposed to be silly. This is why I love birthdays. I felt a feeling of togetherness that I will not forget. 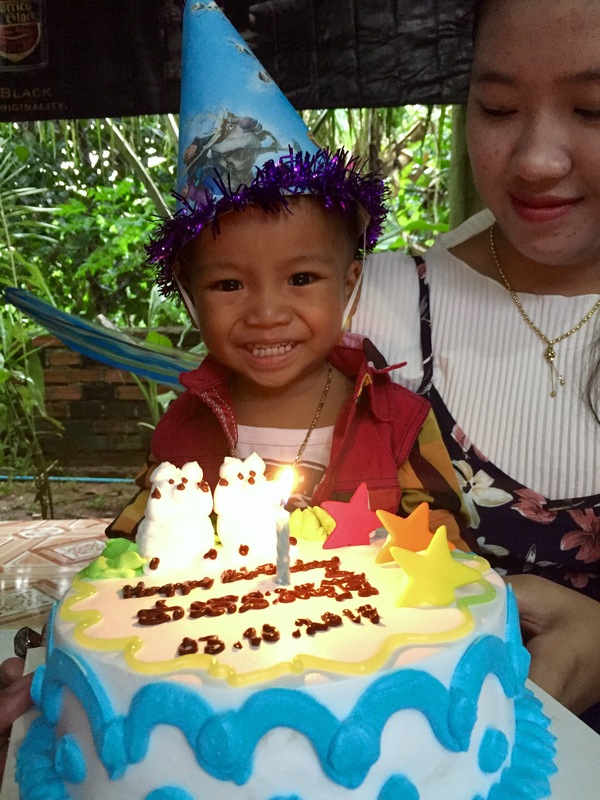 There were so many smiles and laughs surrounding this happy occasion and the magic of birthdays can be felt across cultures. 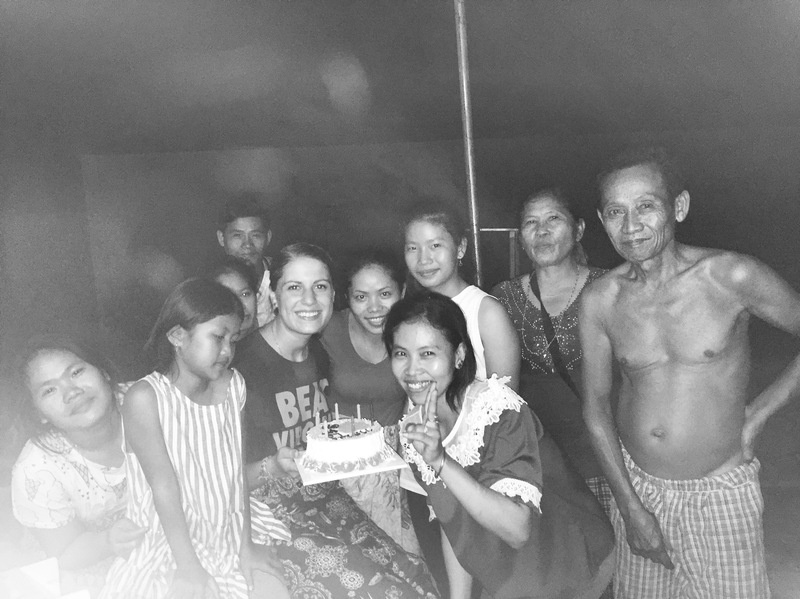 Even if I didn’t speak any Khmer this still would have been a great day- all of our smiles still would have meant the same thing. 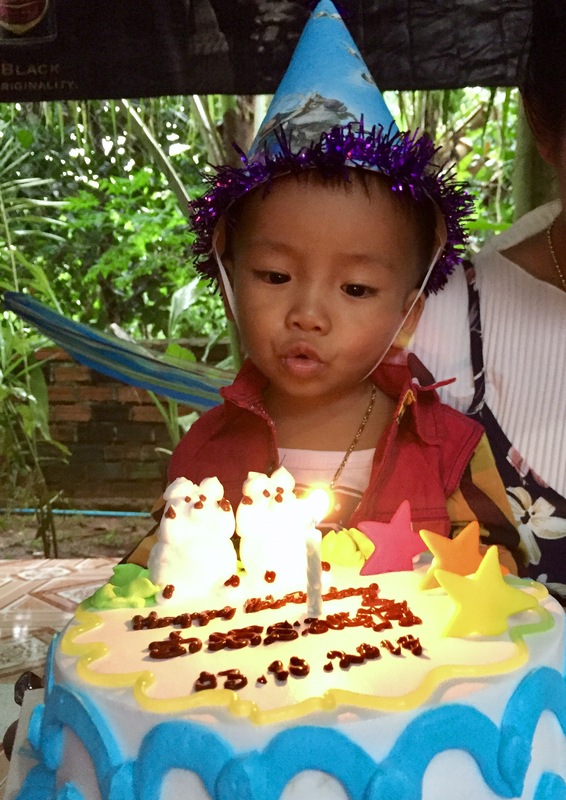 A part of me hopes to someday find out the rest of my families’ birthdays because I really want to celebrate the beautiful lives they live. I’m about one week into living at my permanent site. I have a wonderful, kind family that I am getting to know. At the moment I’m struggling with the fact that I have to build relationships again from scratch. 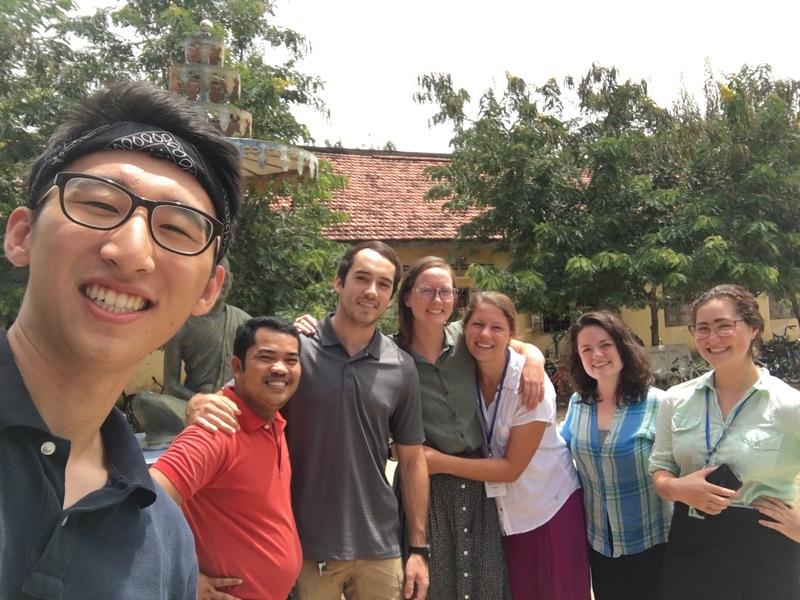 The reality is that I got very close to my pre-service training family and after being uprooted and moved to a new site I long for those relationships that I left. I know that will happen with time in my new community, but it does give me a feeling of loneliness. I’m surround by compassionate and beautiful humans in this community but we are strangers at the moment. Eventually we won’t be. I entered permanent site at a peculiar time. 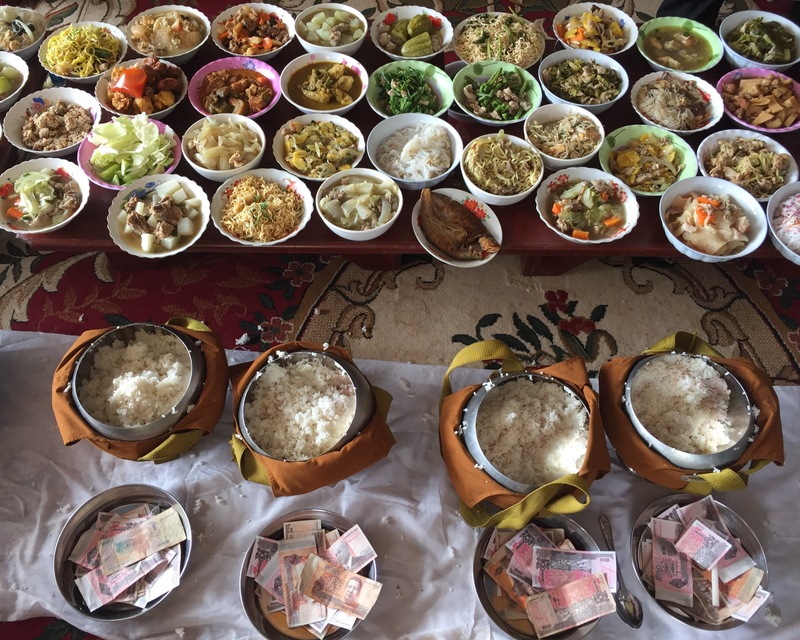 Pchum Ben just ended which is a 15 day celebration of ancestors in the Buddhist religion. (If you would like to read more about it check out this article: http://m.phnompenhpost.com/post-weekend/remembering-spirits-who-return-material-world?utm_content=buffer15eb9&utm_medium=social&utm_source=facebook.com&utm_campaign=buffer) That meant a lot of chanting from the monks over loud speakers, constant music, lots of food, so much ansom (rice, beans and pork wrapped in rice and banana leaves then boiled or banana covered in rice and banana leaves and boiled) and a whole lot of offerings to the monks. This is a time when families get together and schedules are just different than normal. 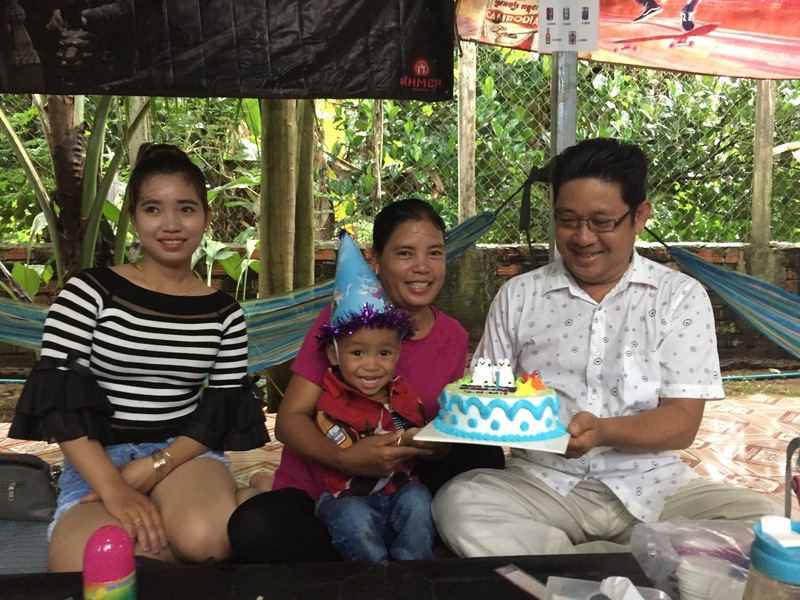 My family took a trip to a different district to visit my grandparents’ house and celebrate Pchum Ben day at their house. 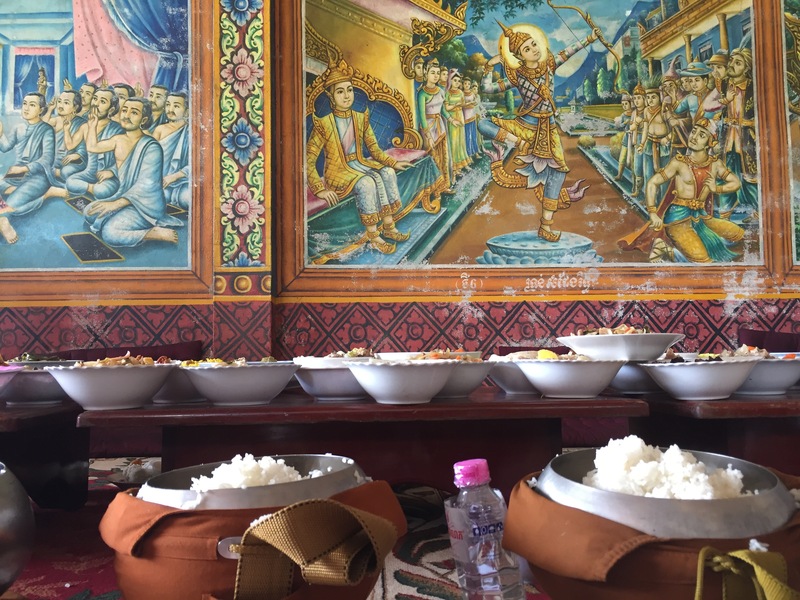 I think I ate about 30 bananas while I was there and sweated my body weight at the Wat. My first week has been very silent in a sense. There is a lot of noise around me but a lot of aimless time. I’ve spent a lot of time studying, journaling, doing yoga, laying in a hammock next to my mom, and wandering. I’ve been looking at everything I can to see what’s around and what hidden gems this village has. I’m finding the gems but I’m not going to share them with you yet. I’m finding my groove here in Kampong Cham province and I’m glad you’re still along for this ride. 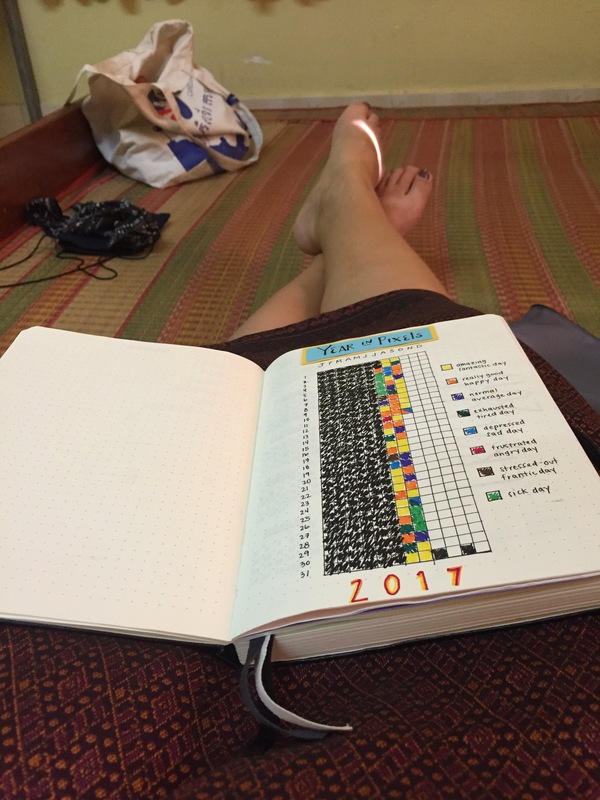 I’m sitting in my empty room in Kandal province flipping through my bullet journal. It’s move out day. Two months have come and gone and my time with my family has come to an end. I have a few hours until the van comes to get me so I’ve been reading my first journal entries and small blurbs about each day. It’s funny and motivating to read back on how difficult it was at first because the extent of my language was saying my name and saying when I was full. When I started this bullet journal this is what I intended. I intended to be able to look back and see my progress and feel proud of myself or inspire some personal reflection. This is a momento that will help me track how my Peace Corps journey plays out. But what I didn’t realize was that it was going to also track my relationship with my family and I can see how the bond formed and the love grew within my entries and it warms my heart. Yesterday we had a party celebrating our host parents and thanking our community. When I returned home after the party my siblings surprised me with a cake that they bought for me. It had the date, my name and a big heart. 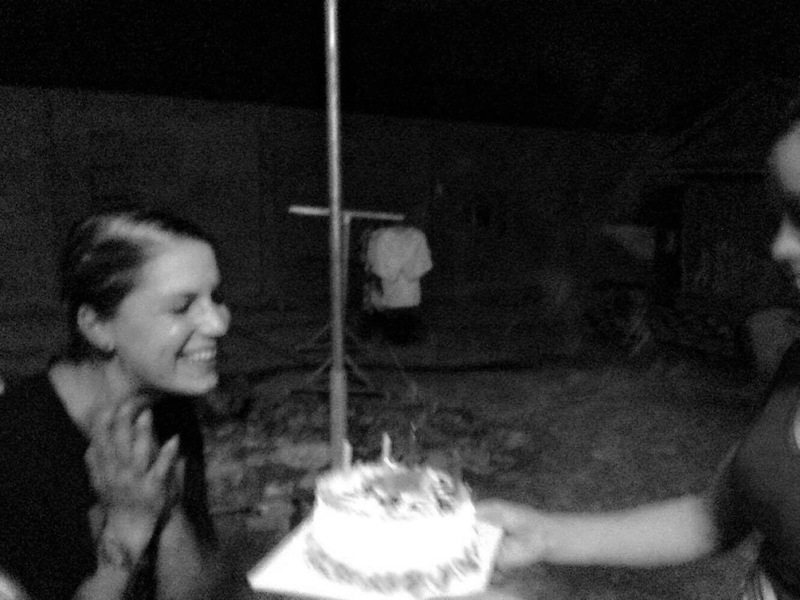 When they came around the corner and I saw their big smiles holding the cake I instantly welled up with tears. It was such a kind gesture and it really just sunk in that I was leaving these beautiful people that loved me like their own child, granddaughter and sister. I feel it is now a more appropriate time to tell you a bit about my family. I want to be considerate of the fact that their lives are theirs and I will not tell you their names, ages and any defining information because that is not my information to put on a public platform. I did get permission from them to post photos so you will get to see their bright shining faces. For the past two months I have lived in this house. And I have lived with these people. I have a beautiful mother and spunky, fun-loving father. I have a whole lot of sisters. Six that are older than me and two that are younger. I have two older brothers. I have a grandmother and I have three nieces. In this time I have gotten to know a bit about each of them. Five of my sisters work in a garment factory. One of my brothers is a farmer. Two of my sisters help in the family coytiev stand (breakfast place). And my mom and dad run the coytiev stand. 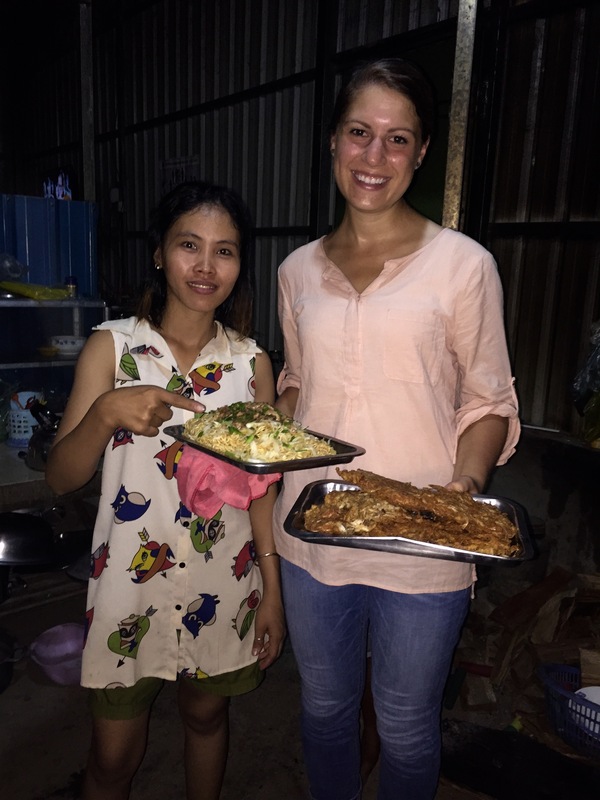 One of my sisters taught me how to cook three Khmer dishes. She kept saying I need to learn how to cook for myself because she is scared my new family won’t cook for me. One of my sisters is very close in age to me and is studying cosmetology. Since week one she has always lovingly pinched my cheek or put her finger in my dimple as she walked by and giggled. One of my brothers and his wife live in the home and she is about 6 months pregnant now. When I come back there will be another baby around and I can’t wait to meet the little nugget. We currently have one beautiful, happy 10 month old waddling around because she is learning to walk. She is a funny little girl that loves to imitate people. When her family says “Bebe” she blows kisses, when they say the word for angry she makes an angry face and shakes and our new favorite is when I taught her how to stick her tongue out. 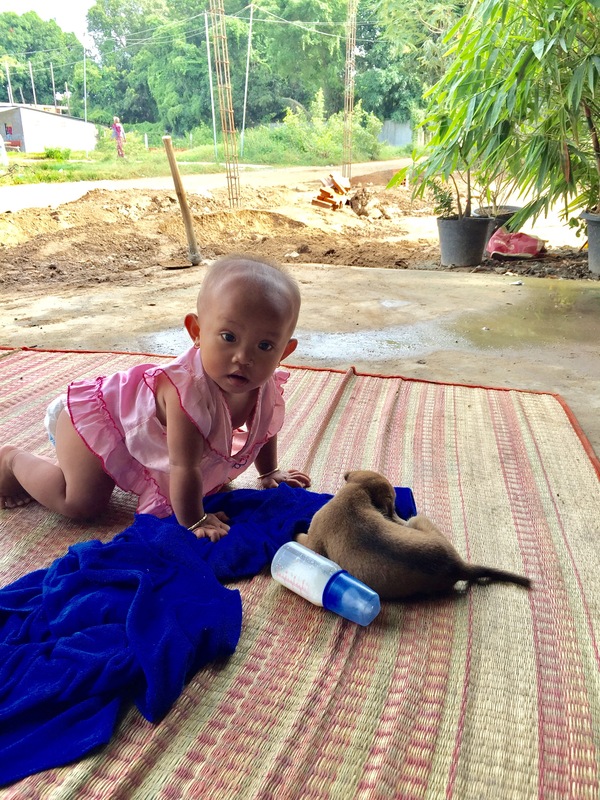 This little girl is spunky and is going to have a heart of gold. The relationships I have with my family have taken time and patience on both sides. When I first arrived I couldn’t understand my parents to save my life so I gravitated towards my sisters that I could kind of understand. In the last four or more weeks I have been able to understand my parents and converse with them and they have really come to view me as their child. My mom told me last week that I am her adopted daughter. It’s amazing to me that a family can take in a foreigner, care so much for them and treat them as their own. I feel incredibly lucky to have had this time with these people that I will call family for the rest of my life. As I move on to a new family I will take the lessons I have learned from this family and I will stay in touch with them because although it was only two months, they basically raised me and that’s a bond you can’t lose. Every American loves a good ole PB&J. 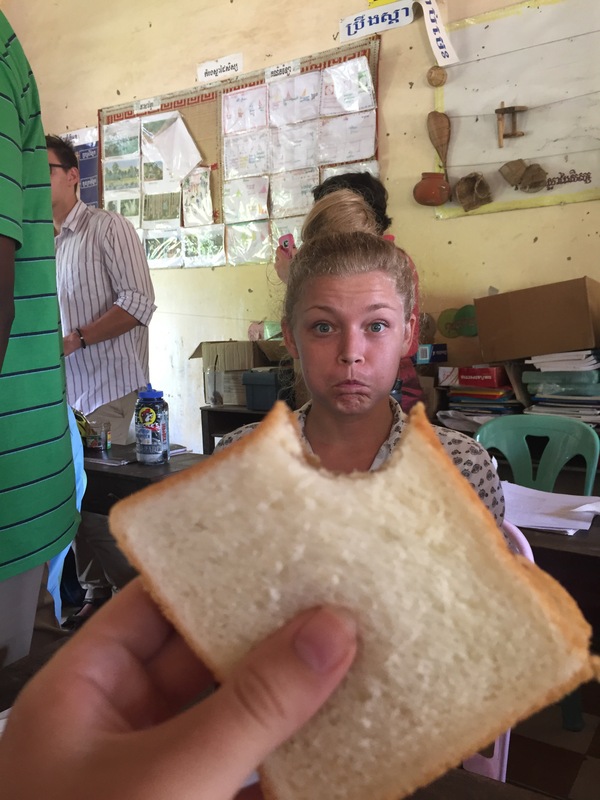 Peace Corps Volunteers are no different. If anything we crave and love a peanut butter and jelly sandwich more than anyone. 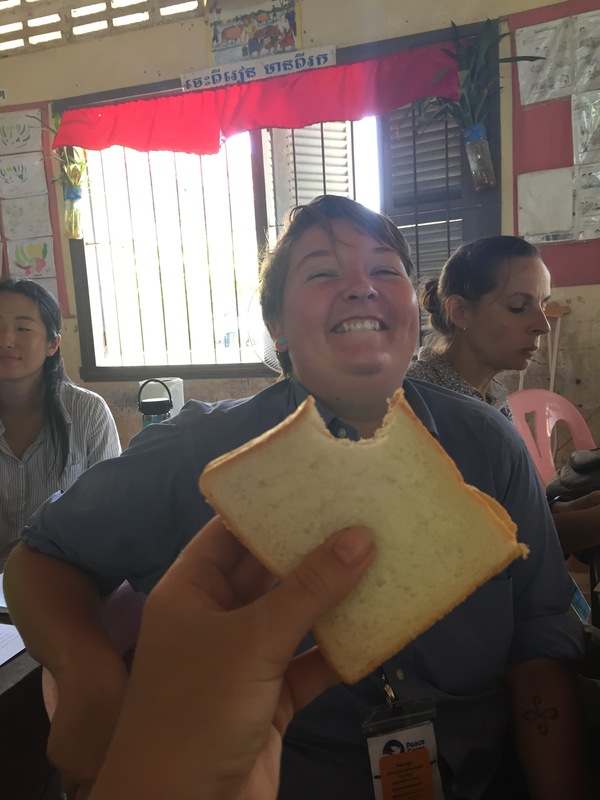 A few weeks ago, a K10 volunteer that came in and talked to us made all of our dreams come true and surprised us with what felt like a lavish spread of jams, crunchy and creamy peanut butters and sliced white bread. 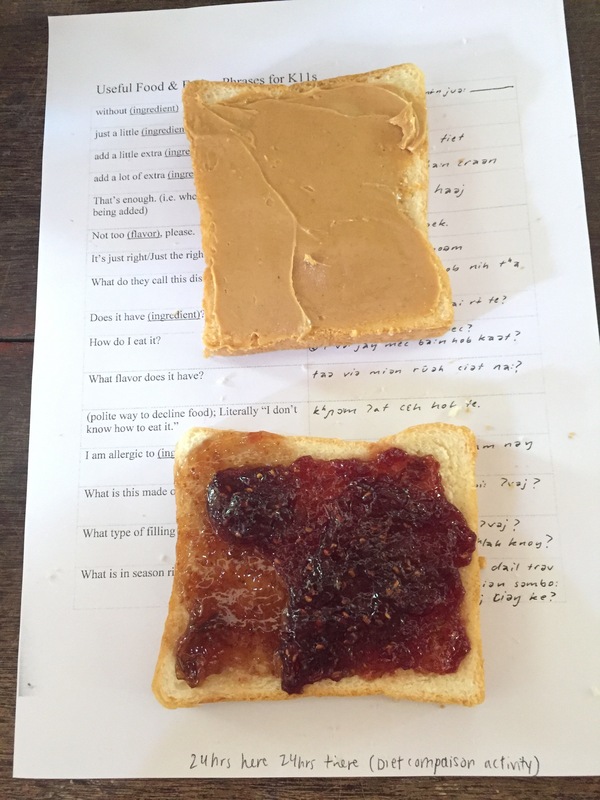 I carefully applied some creamy peanut butter on my stark white bread and topped it with crunchy peanut butter then I really went for it with two jams, half fig spread and half raspberry spread. After thinking about this I realized that this experience was pretty symbolic for me. The peanut butter was able to represent my really good friends here, Emily, Haley, Will and Britt. 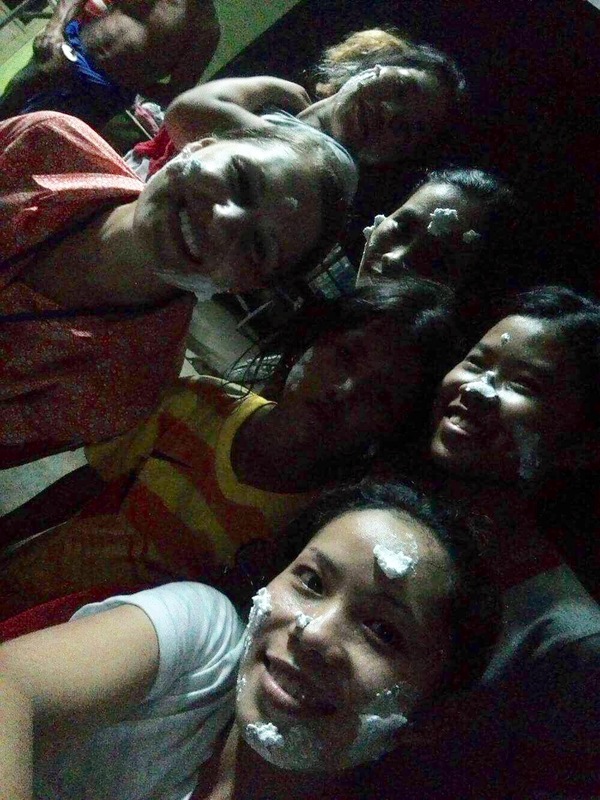 Those are the people that have kept me whole and sane here in Cambodia so far. Those are the people I willingly and loving choose to surround myself with. Like when you eat peanut butter and it gets stuck on the roof of your mouth and no matter how hard you try it is really hard to separate from the roof of your mouth….yeah that’s my people, I’m stuck with them and I’m glad I can’t separate from them. Then you have that extra zing from the jam. That extra flavor. That extra bit of yumminess. That’s those spunky volunteers that make everyone’s day. Those positive people that are just goofy and fun loving. Those are the people that make this experience incredible. We have a lot of spunky people and they have made me laugh countless times and warmed my heart an incredible amount. Those people are glue. 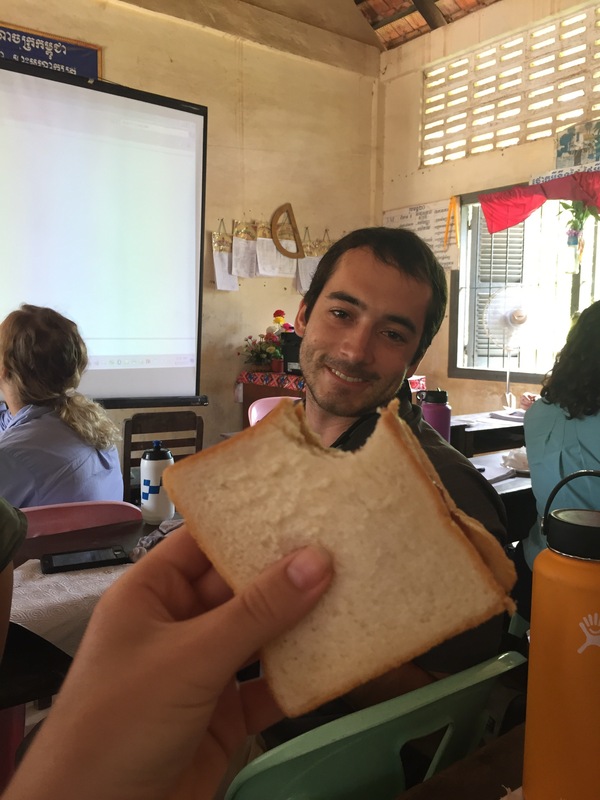 Those people are what make both the sandwich and this Peace Corps experience whole. 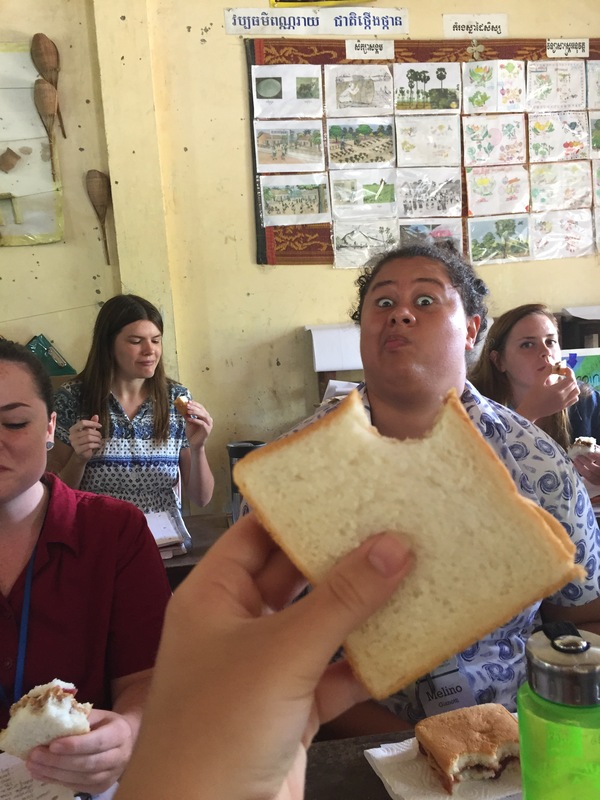 Then you have that white bread. 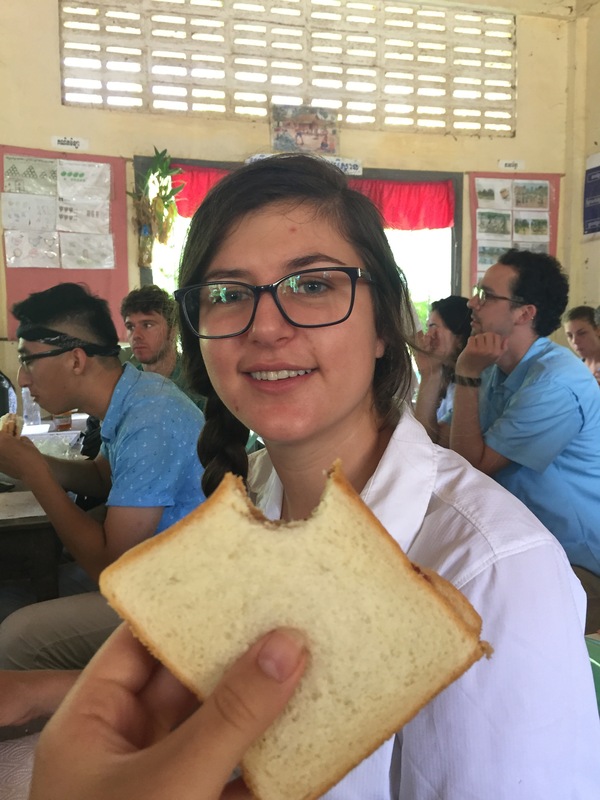 It wouldn’t be a sandwich without the bread. And PST wouldn’t be what it is without those time constraints, schedules and barriers. That bread stops anything from getting out and PST is designed for us to be busy and jammed full of information. 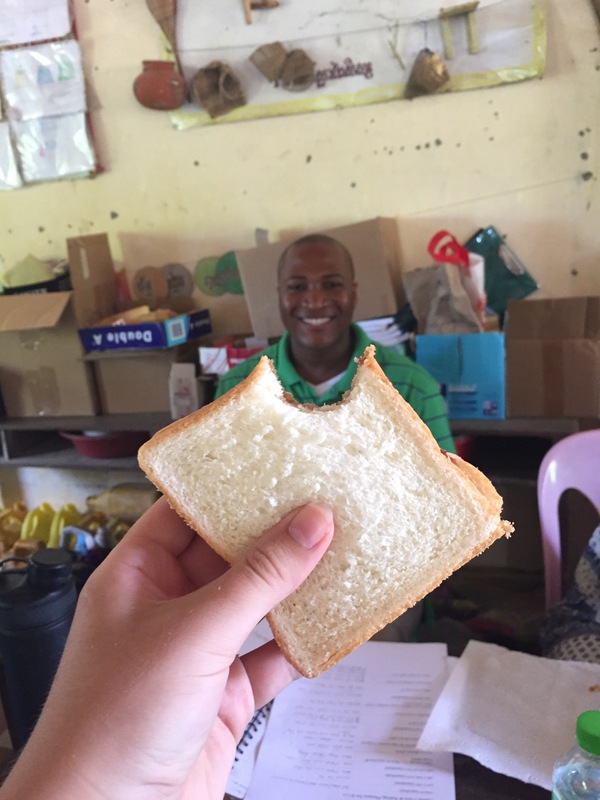 It is designed to be the structure that sets us up for success a permanent site and the bread is the structure of a sandwich. Every part of that sandwich is important and serves a purpose and none can function without the other. 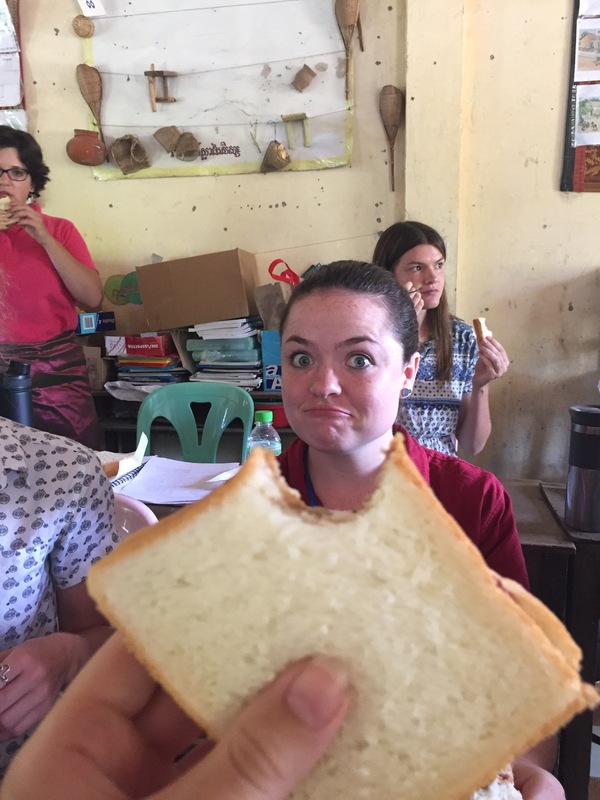 The same goes for this PST Peace Corps experience. I wouldn’t want my sandwich structured any other way or with any different people. 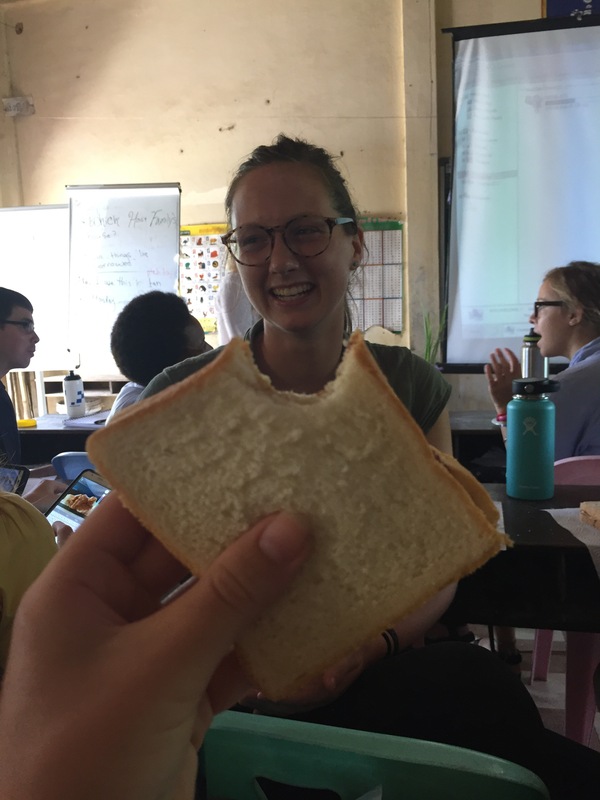 PST is coming to a close and this peanut butter and jelly sandwich helped me to come full circle and realize just how pivotal this experience had been and will be for me. This beautiful medley led to what I like to call my peanut butter and jelly series which you can scroll through below. In a past post I referenced how I had been lucky to not get sick yet. That time came to an end a few days ago. The fire breathing dragon made an appearance finally. 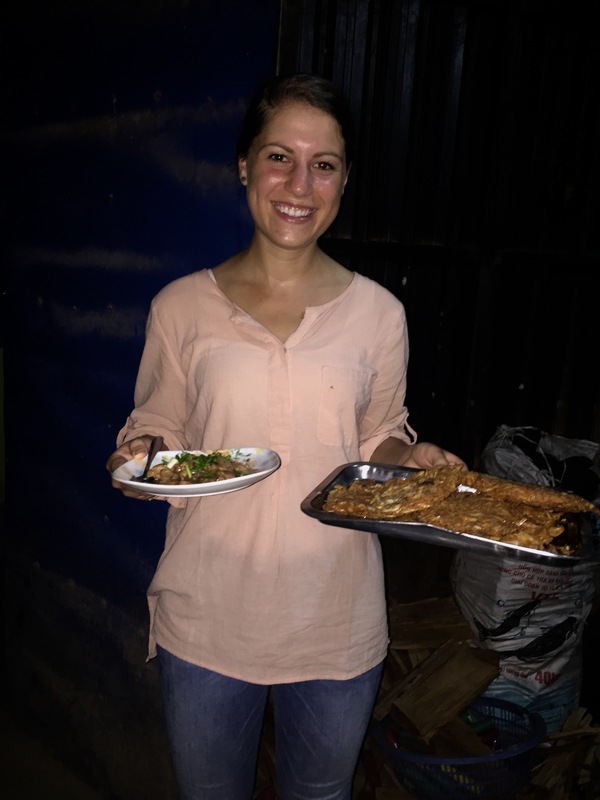 I decided to jump of the ledge, take the risk, participate in cultural exchange and I made the conscious decision to eat pig intestines with my family. 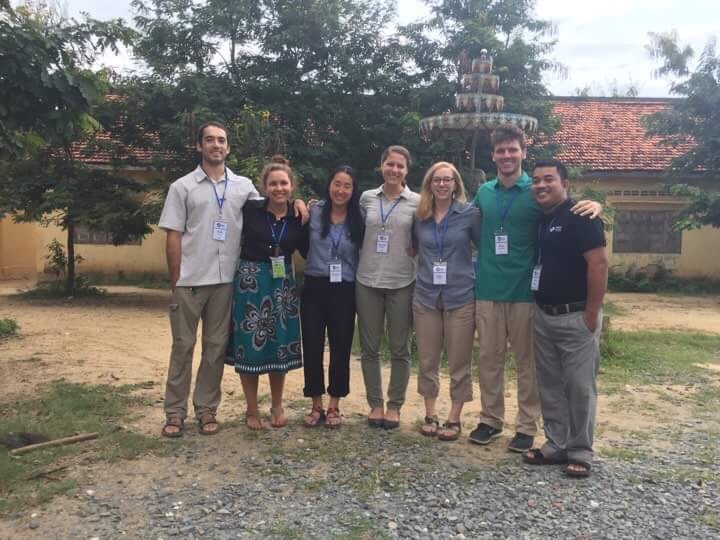 It ended up being a Friday-Monday show down with me and the bathroom and then a trip to Phnom Penh to visit with our Peace Corps doctors and a stay in a hotel room for a night. This mean’t I missed a bit of training and I got to see a different side of my host family. 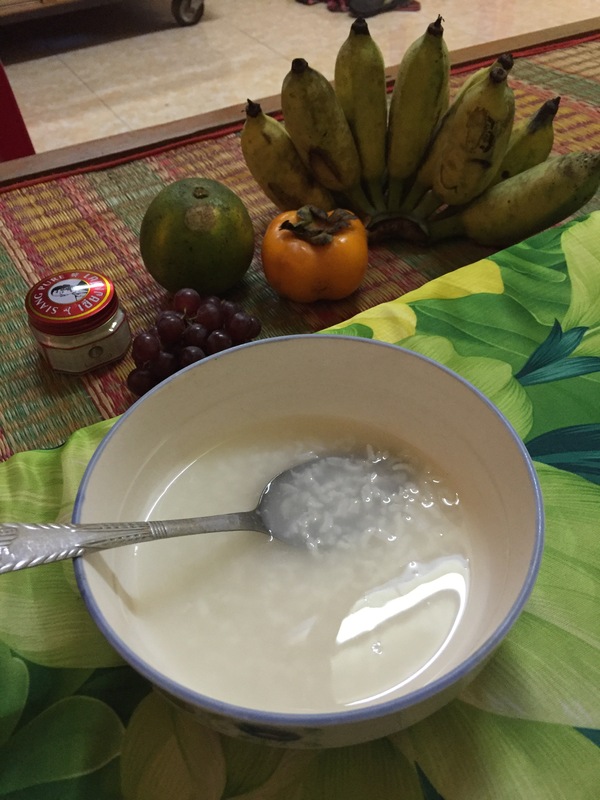 As soon as I told them I was sick they told me to go rest, made me babasa (rice porridge) and brought me a bushel of bananas. They would come in and visit me as I snuggled in my bed with my fan. They were so generous and kept trying to put three different protein sources in front of me to eat (which at the time sounded incredibly unappetizing). It wasn’t until I told them that the doctor said I should only eat babasa and bananas that they fell into this routine for a couple days. They brought me plenty of fruit as you can see in this photo below and this level of love and care that they showed me helped me to feel safe and secure during my first illness in country. In country illness is a beast. I still feel like a toddler here and voicing what you want or need in a foreign country to a family with a different concept of healthcare is different and having to run to a bathroom shared by 13 people every half hour throughout the night is uncomfortable to say the least. My poor grandmother probably didn’t sleep since I was in and out of her room going to the bathroom all night. She never said anything to me about it but that doesn’t mean she wasn’t awake during it. The funny thing is that that very same night we got stuck biking in a massive thunderstorm on the way to our next study session and my mom was convinced I had a cold from that. I told my mom I had diarrhea and a fever and she still called it a cold. I pushed back once and said I don’t have a cold I have diarrhea and she was admit I had a cold so I let that one go real quick. My mom also asked if I wanted to be coined on multiple occasions and if you don’t know what that is google it. Let’s just say I politely said no many times because I didn’t want to endure the pain. Yet another instance of me being a wuss. Now we can fast forward to now. I’m all better and will never eat any intestines of any kind again. I’ll make sure of that. I have some exciting posts to share with you soon so stay tuned! The number one question I get from people back home is “how is your language?”. That’s a very fair and logical question. 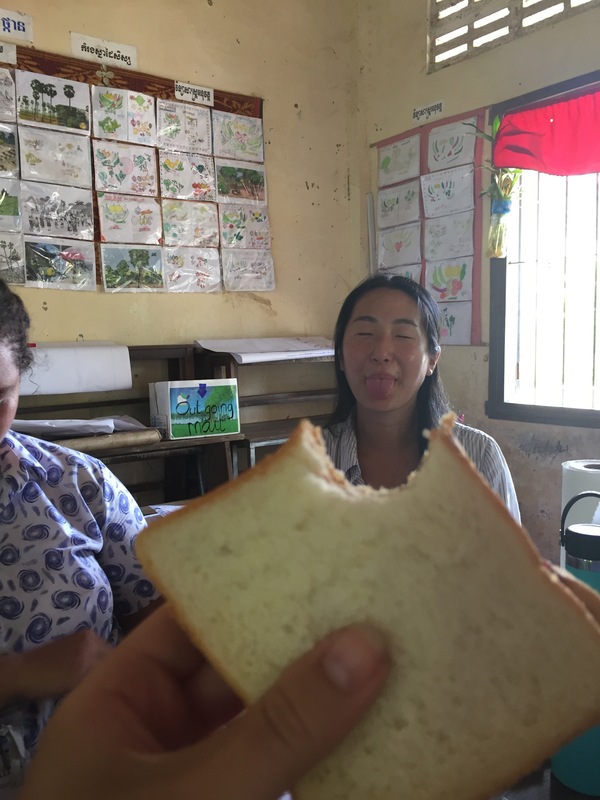 Instead of giving a good or bad answer I am going to explain to you what our language classes look like as well as some of the practicums we have done. We have been doing language classes since the first day we arrived. Everyday for at least four hours. I’ve been here for six weeks and we have training six days a week. Take a minute to imagine how many words, phrases and sentence structures that is. Our notebooks are over flowing, are brains are like half wet sponges (we are trying to retain but some days it just isn’t happening), and we are trying to create different systems to remember things. Some of us have millions of flash cards, some have study guides and some have specific notebooks. I’ve tried them all and I have landed on having a class notebook and then transferring to a smaller notebook when I study to add in some more repetition. Where or not my method is working for me is unknown. I can’t even track my own language improvement because some times days are blurs and go by so fast. 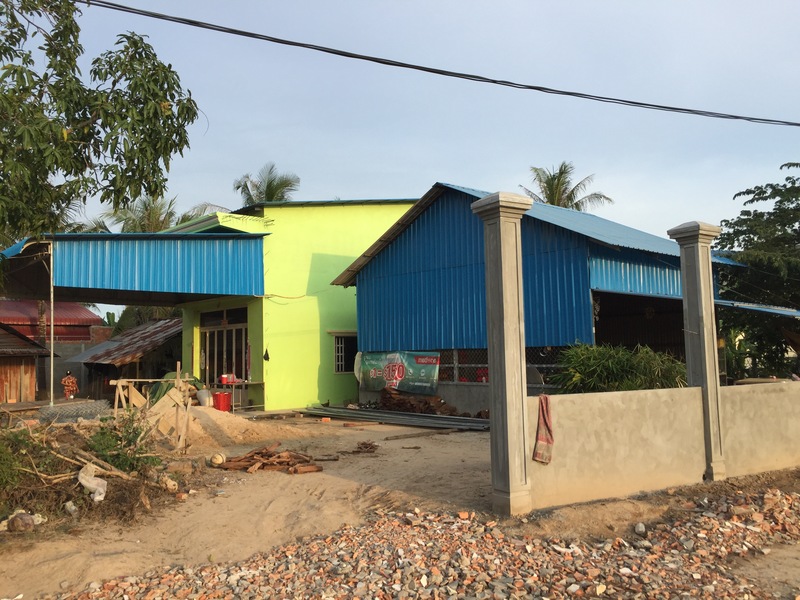 At my site we have three language teachers and six trainees per room. We are with our respective teacher for 2-3 weeks before groups and classes are switched around. We are heading into our final round which is three weeks long. 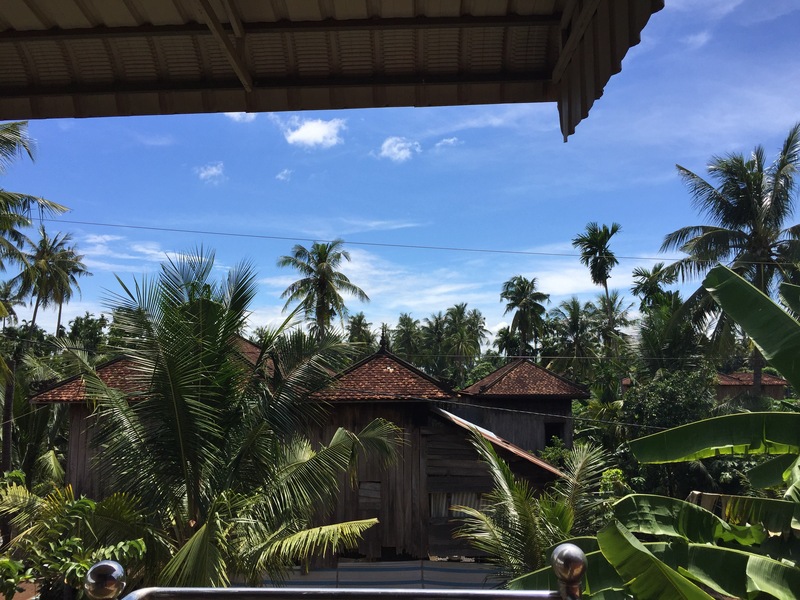 Three more weeks to cram Khmer into my head and try to speak for fluidly. Most nights we have homework and start the class off by going over the homework and then moving into the new phrases, words and sentence structures that are on the agenda. For example: we might learn 6 words to describe taste and how to ask someone how something tastes and how to respond if someone asks us. After we do that for a while we typically have our first ten minute break. We congregate outside and chat and head over to the snack stands to buy some sugar/unhealthy snack that will temporarily wake us up. I’m obsessed with the milk and honey wafers they have so I buy those often. Sadly, I crave the sugar quite often now. I need to break the cycle soon so I don’t do this at permanent site. The break always feels too short and then we are called back to class to learn more or review something. We get one more ten minute break and then the end of our language sessions are typically dedicated to technical health language. We learn in segments depending on the health topic we are covering that week. For example: last week was maternal health so we learned lots of technical terms for ANC checkups. After we finish that we are released and go home for lunch or dinner depending on the day and how our schedule is laid out for that day. To practice language more we do one or two practicums a week. Often we are going into schools, the health center or the community and talking to local people about our specific health topic that week. One of the first weeks we were here we went to the health center and asked the health chief questions about the facility and took a tour. 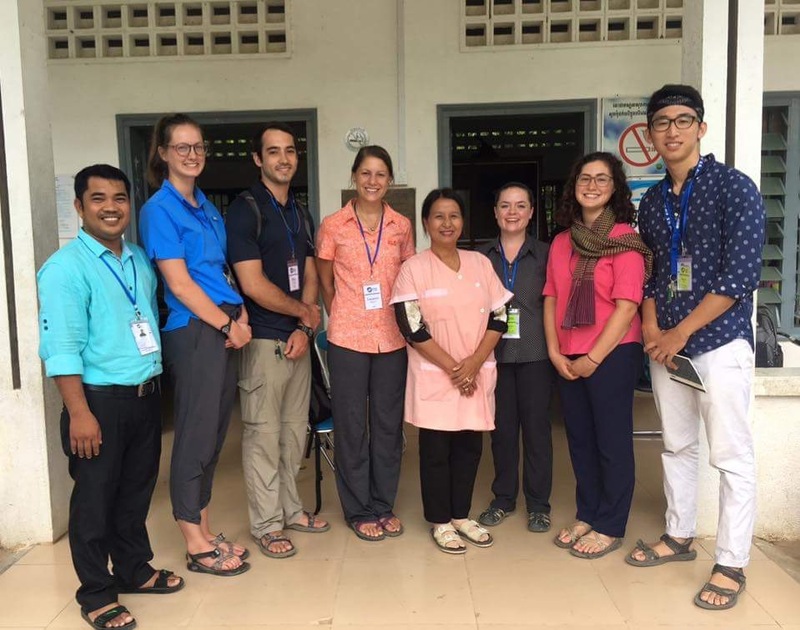 Below is a photo of the first language group I was in with our Language and Culture Facilitator, the Health Center Chief and two of the nurses. Another week we had a Water Sanitation and Hygiene (WASH) practicum at the local primary school with about 80 students. I was in the proper hand washing method group and helped teach the student the 8 steps to properly wash our hands. In the photo below you will see me going over the method with a student as she washing her hands. This past week we got to do my favorite practicums thus far. 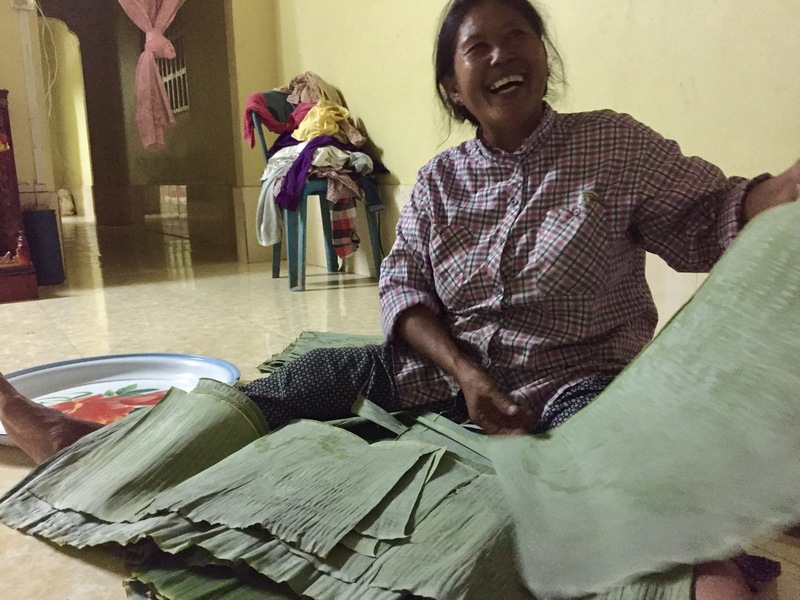 We worked with a Village Health Volunteer (VHV) to present some health education information to a first time mom at her home. 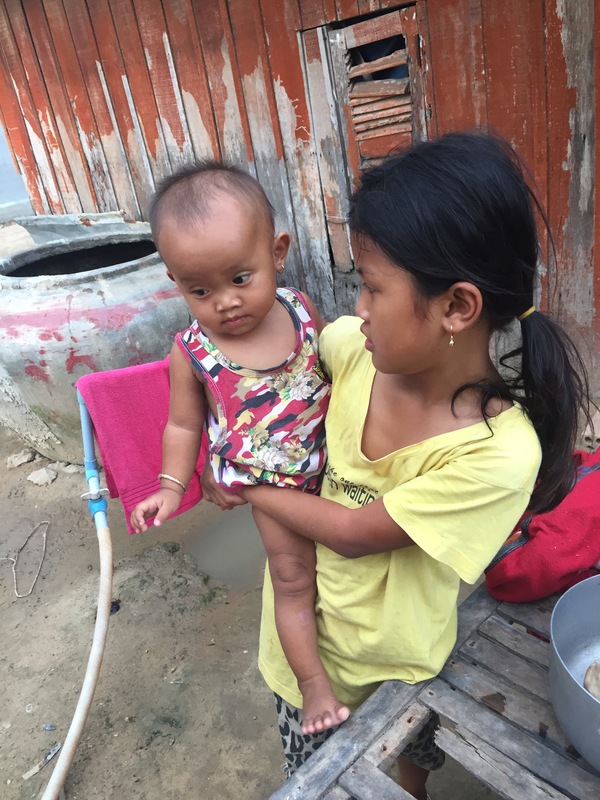 We went on the home visit and talked to the mom about nutritious food she likes that she should eat during her pregnancy as well as danger signs she should watch out for. Later in the week we also went to the local referral hospital and observed and ANC check up of a third time mom, toured the facility and spoke to one of the midwives for about an hour to an hour and a half. Below you will see a photo of my second language group with the midwife and our Language and Culture Facilitator. 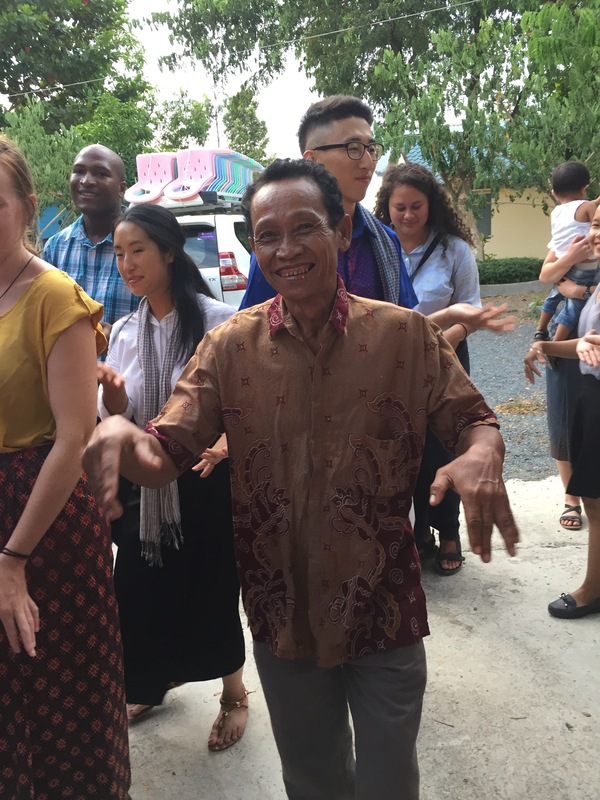 What I failed to tell you is that all of these practicums are done completely in Khmer. 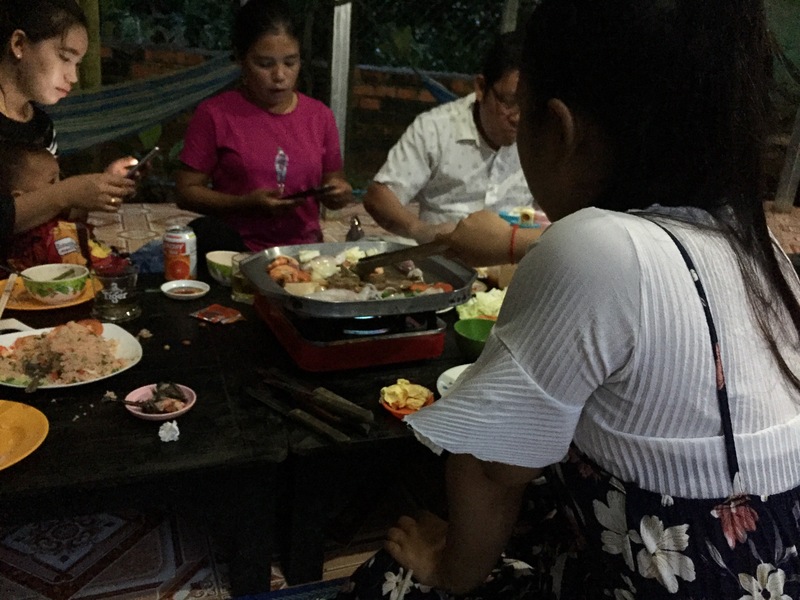 It’s an incredibly useful experience to be able to practice our language in a real life situation with people who don’t listen to our Khmer everyday. We have more practicums coming up this week so hopefully they keep getting progressively better as they have been the last couple weeks!